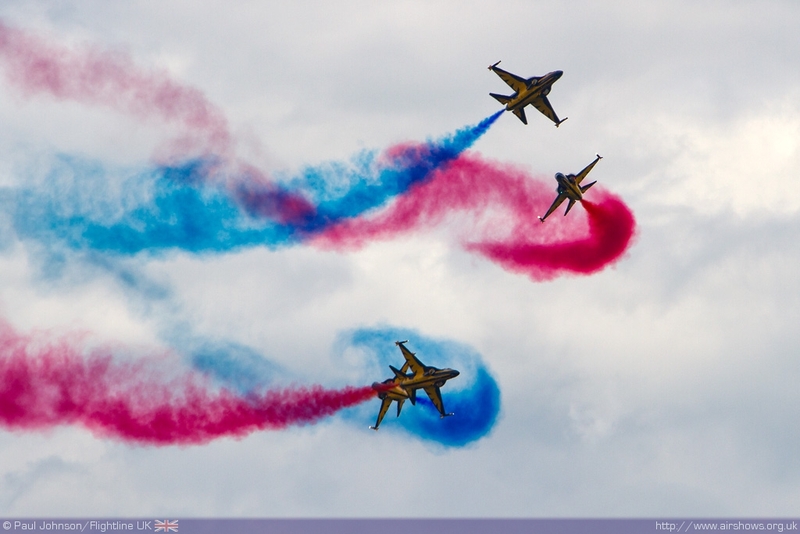 RAF Waddington plays host to the biggest airshows hosted by the Royal Air Force. 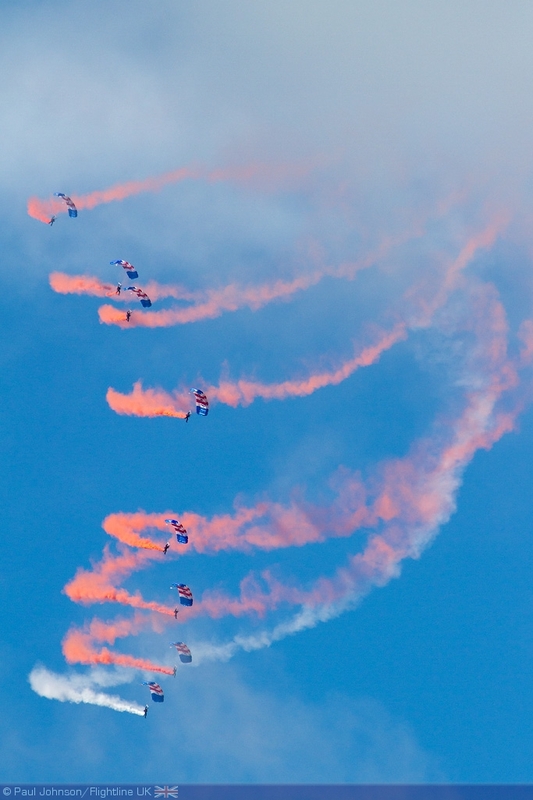 In recent years clashes with other military airshows on the continent have often meant the international element of the show has often been much smaller than other shows at Leuchars and the Royal International Air Tattoo at RAF Fairford. However things could not have been more different in 2012 with perhaps the show’s best line-up of recent years with aircraft flying in from Australia, New Zealand, the Middle and Far East as well as Europe. 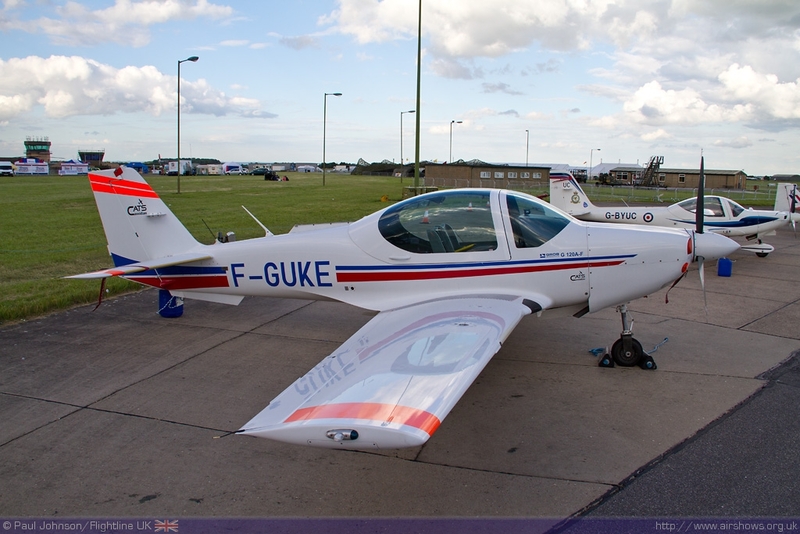 2012 saw the show two very important events – the 100th Anniversary of the Central Flying School and the The Year of Lincolnshire Aviation. 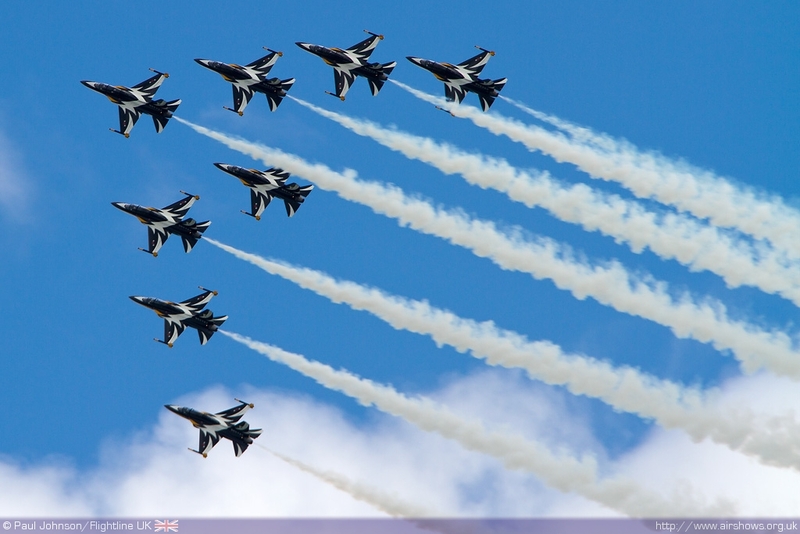 There was an incredible buzz around Waddington this year which started many months before the actual show. 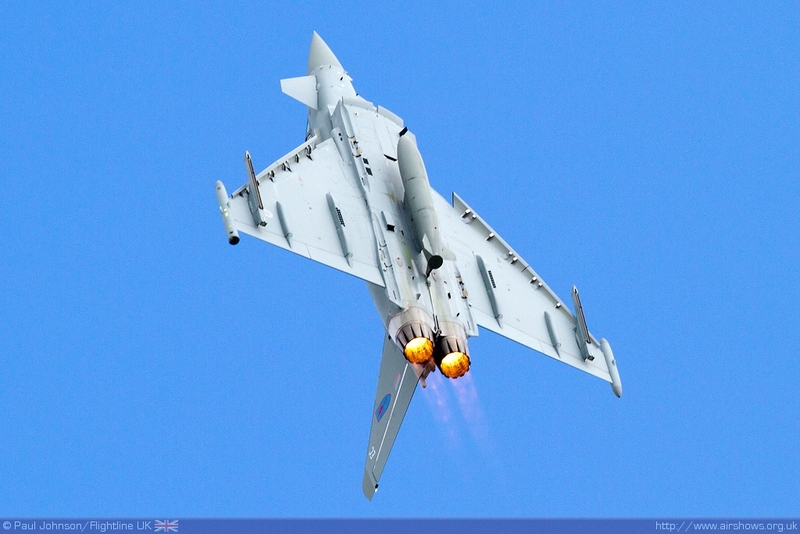 With several shows shifting dates due to the Olympics and French defence cuts reducing the scope of their military shows Waddington found itself being held over a relatively clear weekend. 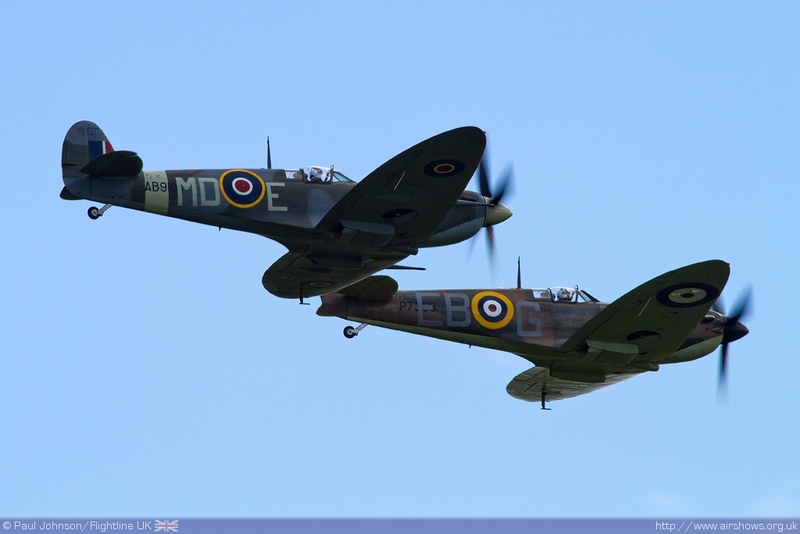 Perhaps the biggest clash was that with Flying Legends at Duxford just a few miles to the south which led to some tough decisions for die-hard enthusiasts. 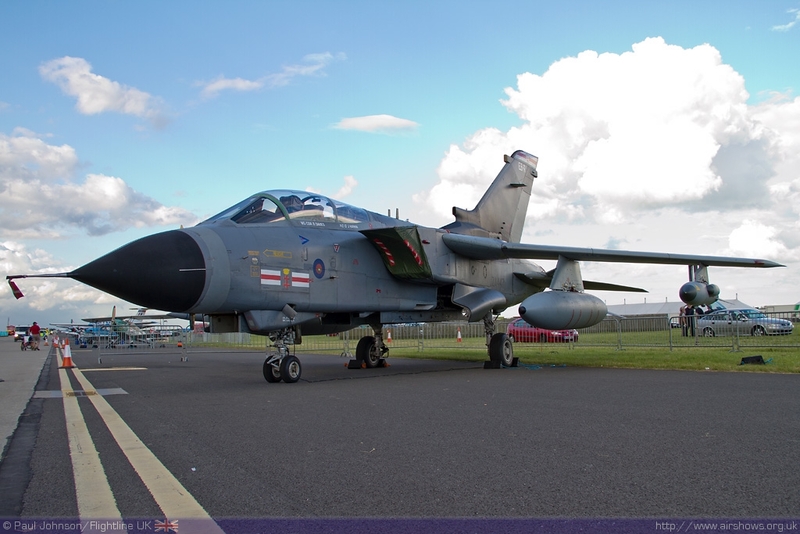 Lincolnshire is very much home to the Royal Air Force with a number of its most important stations situated within the county. 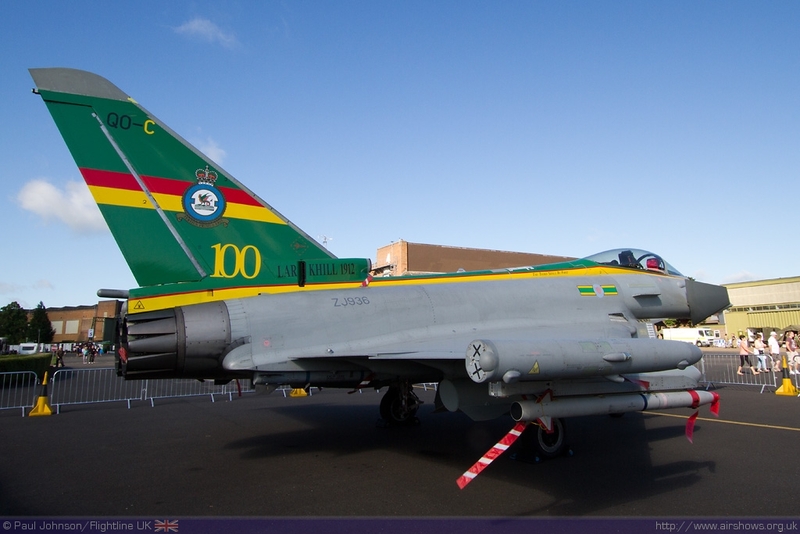 2012 sees Lincolnshire celebrate a ‘Heritage Year of Aviation’ with numerous events around the county with Waddington perhaps being the overall highlight. 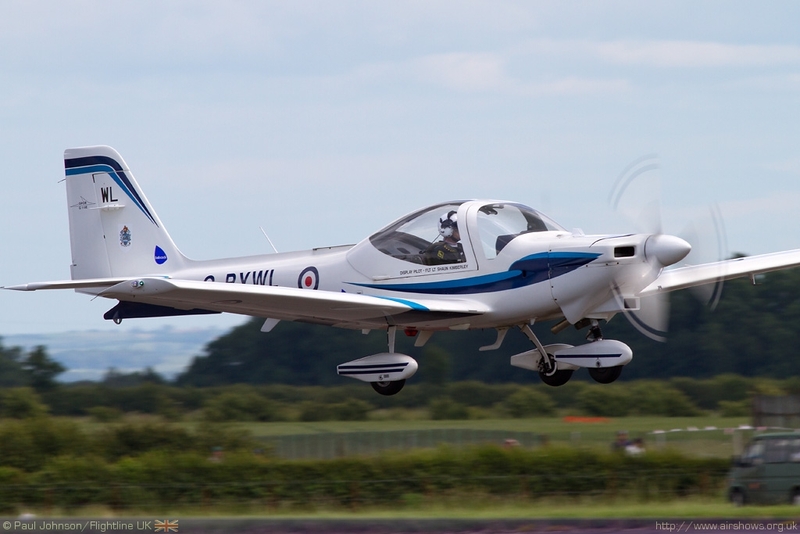 2012 also sees the 100th Anniversary of the Central Flying School which is based just a short hop from Waddington at the Royal Air Force College Cranwell. 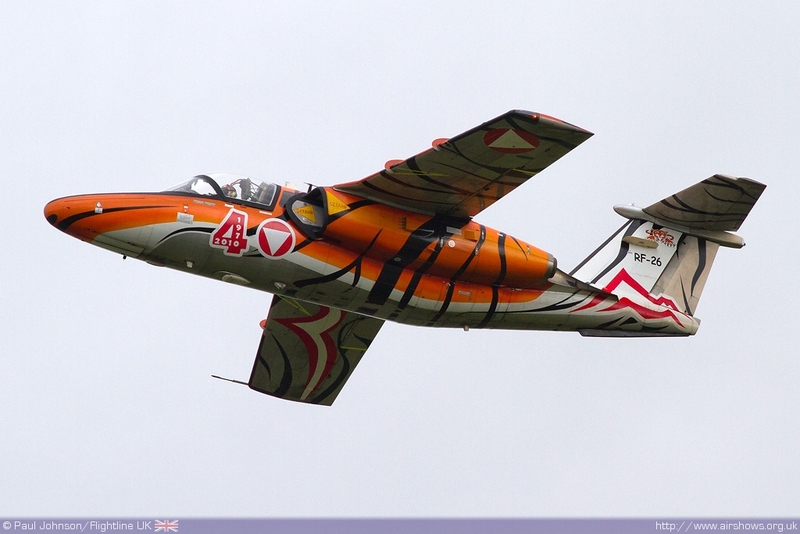 A number of different training aircraft historic and modern were brought together for theme from across Europe. 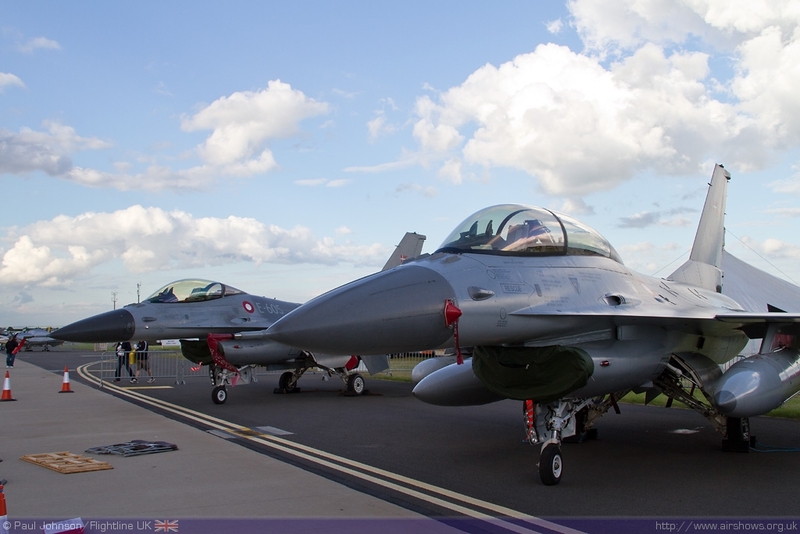 Waddington is perhaps the biggest public relations event for the Royal Air Force. 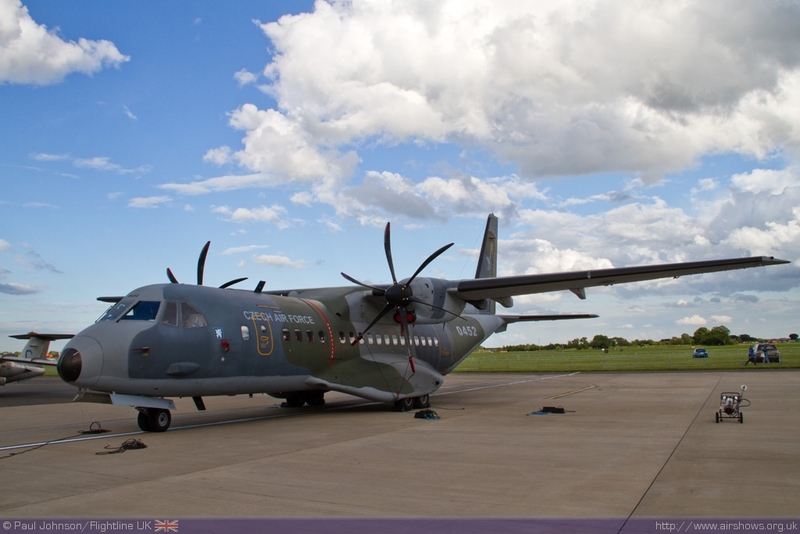 As well as numerous aircraft dotted around the showground, the service was fully represented on the ground and in Waddington’s hangar exhibitions with a welcome return of the RAF stage exhibition – RAF on Air. 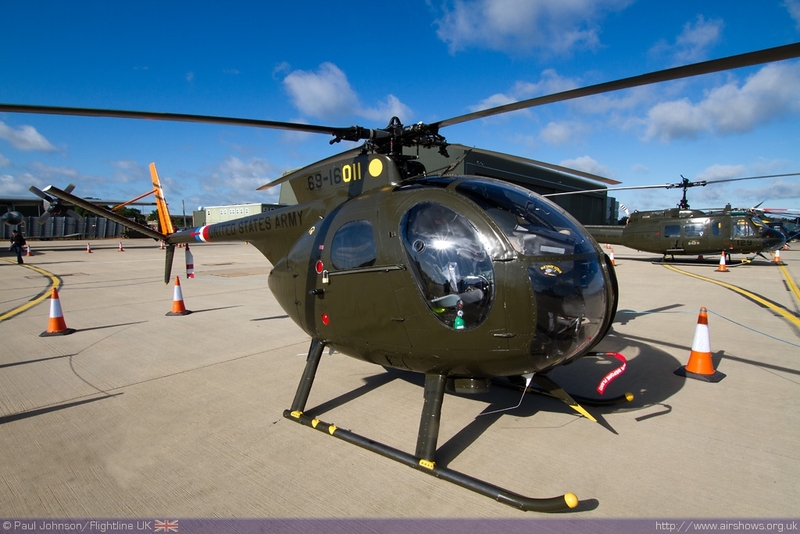 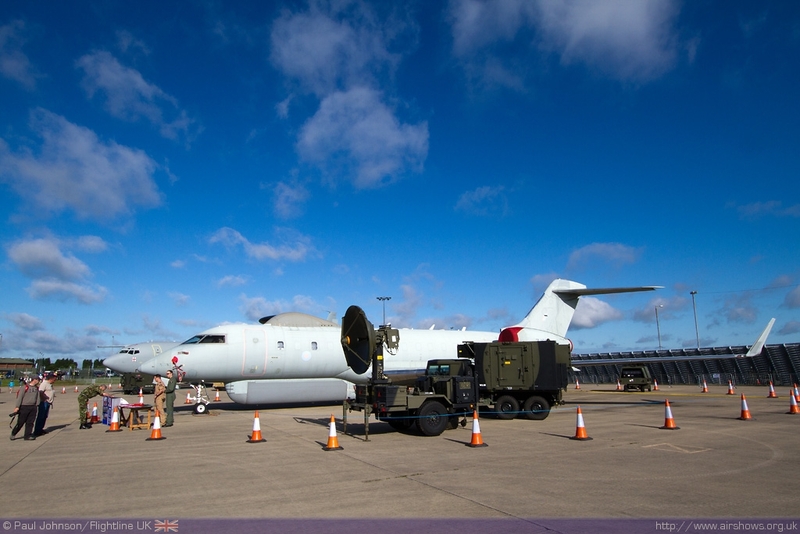 Royal Air Force equipment was out in force, particularly from the ‘ISTAR’ fleet housed at RAF Waddington. 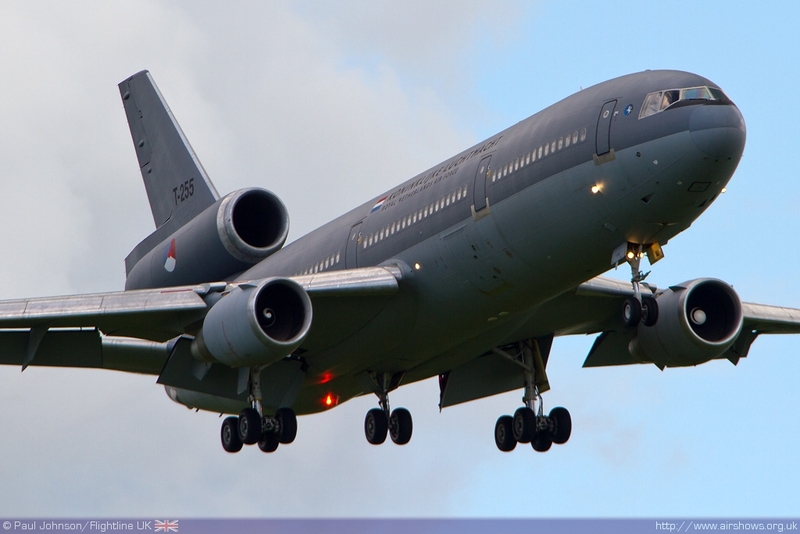 Perhaps the most prolific type at Waddington is the Boeing E-3D Sentry AEW1 which not only appeared on the ground, but also in the traditional ‘Station Flypast’ which opened the show alongside the Sentinel R1. The Sentry went on to perform a brief solo display which was another first at Waddington this year. 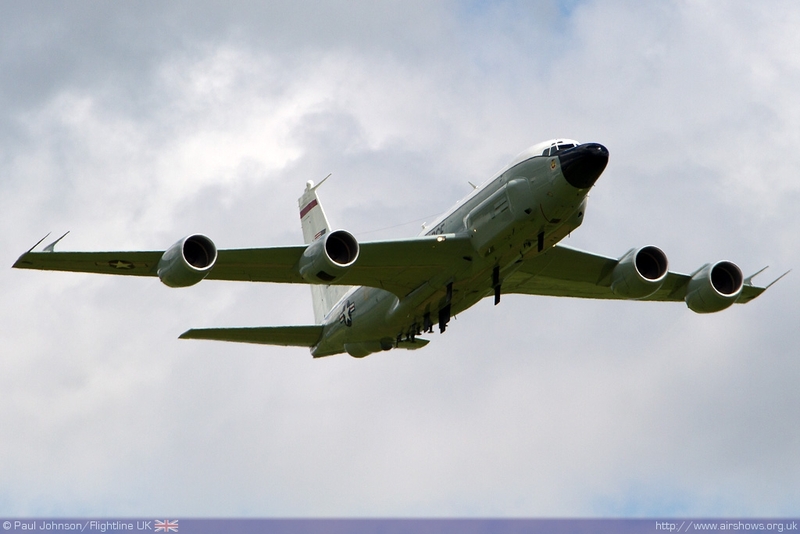 Also appearing in the flying USAF RC-135V Rivet Joint flown by a joint USAF & RAF crew. 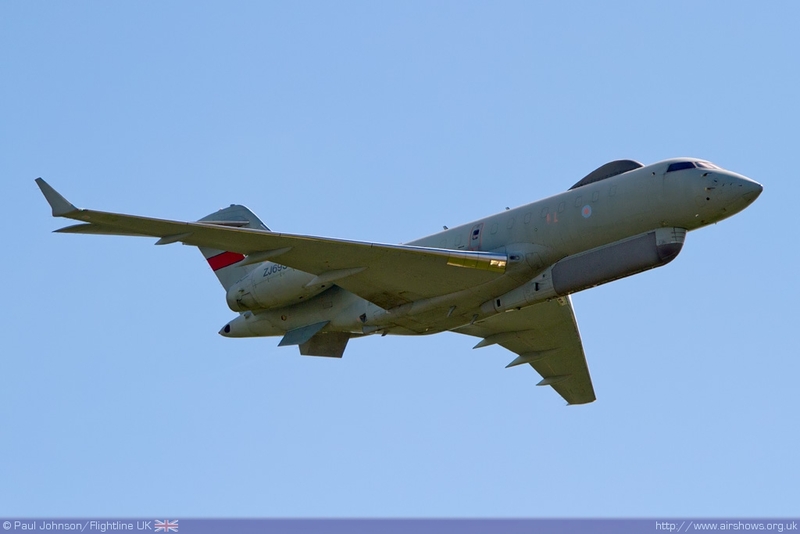 Waddington will be getting its own variant of RC-135 under the AIRSEEKER project in the next few years. 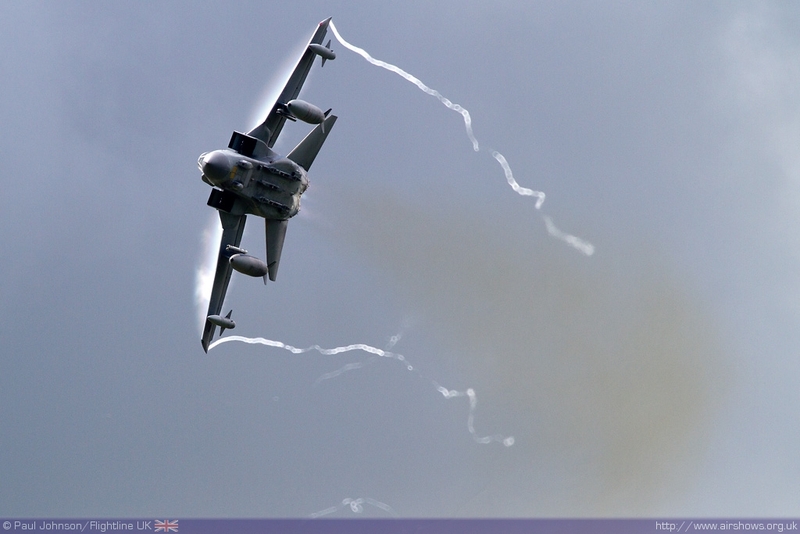 More regular RAF content for the flying displays came from all of the regular display teams. 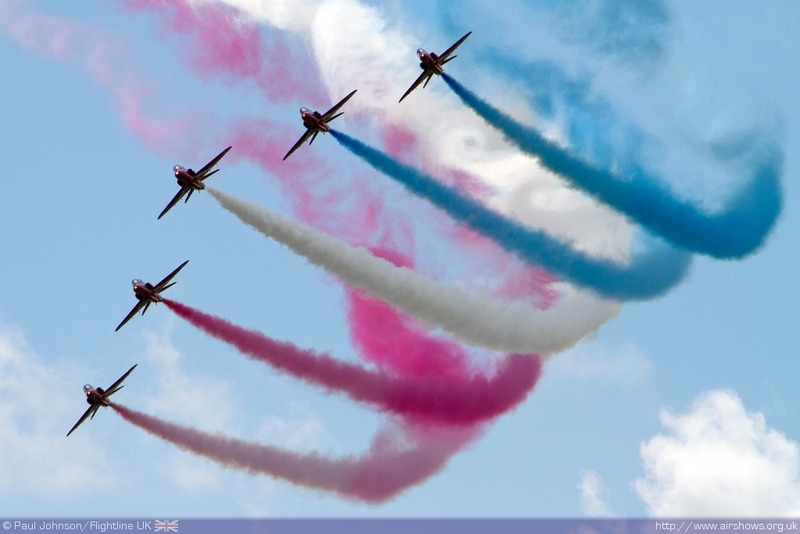 The Red Arrows made the short hop from RAF Scampton just to the north of Waddington and Lincoln. 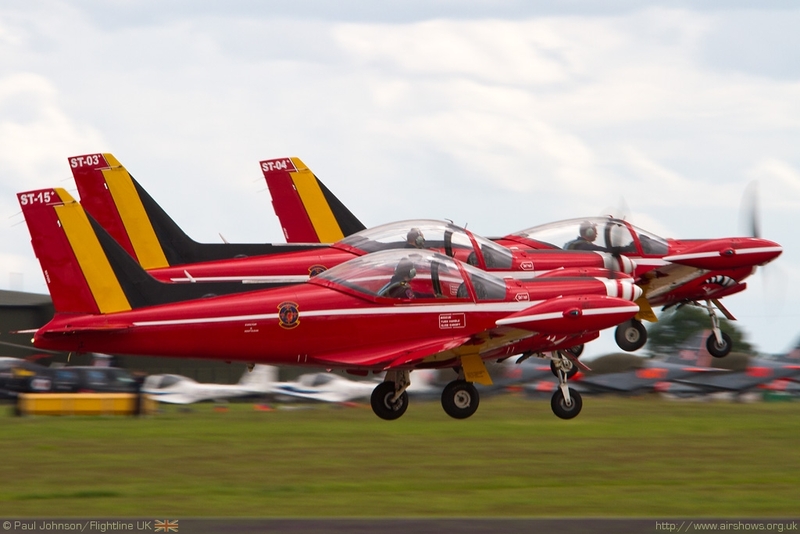 In the weeks before the show it was announced the team will stay at Scampton for the foreseeable future as the runway is due to resurfaced at the end of this year and the proposed move to Waddington will no longer happen. 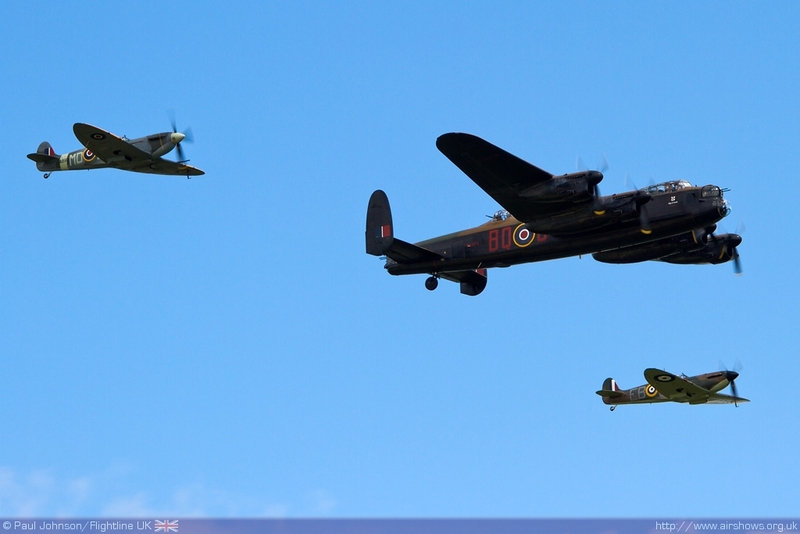 The Battle of Britain Memorial Flight is also local being based at RAF Coningsby bringing the Avro Lancaster and Supermarine Spitfire pair to the show. Also notable this year were the RAF Falcons who not only put in a superb effort to drop in difficult conditions on both days, but also jumped from an RAF C-130K Hercules which is a very rare occurrence these days. 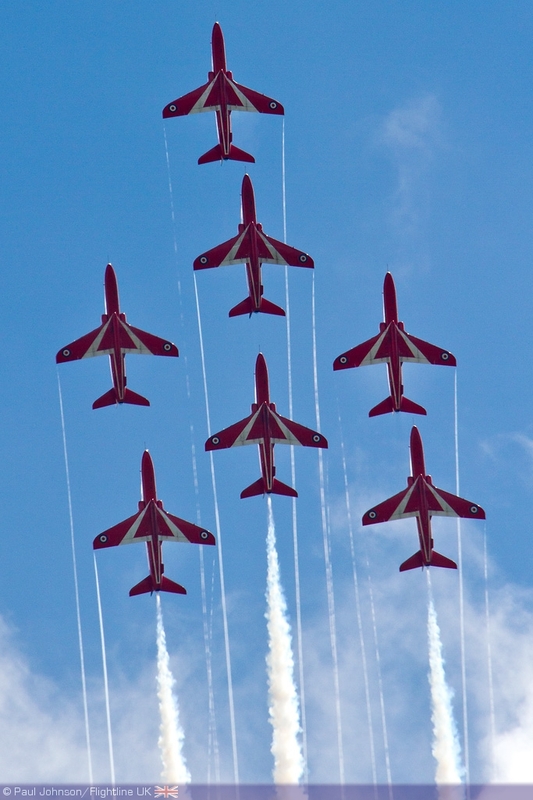 The ‘CFS100’ theme was also reflected in the flying display, not only by the Red Arrows but also by the solo display items from No 22 (Training) Group. 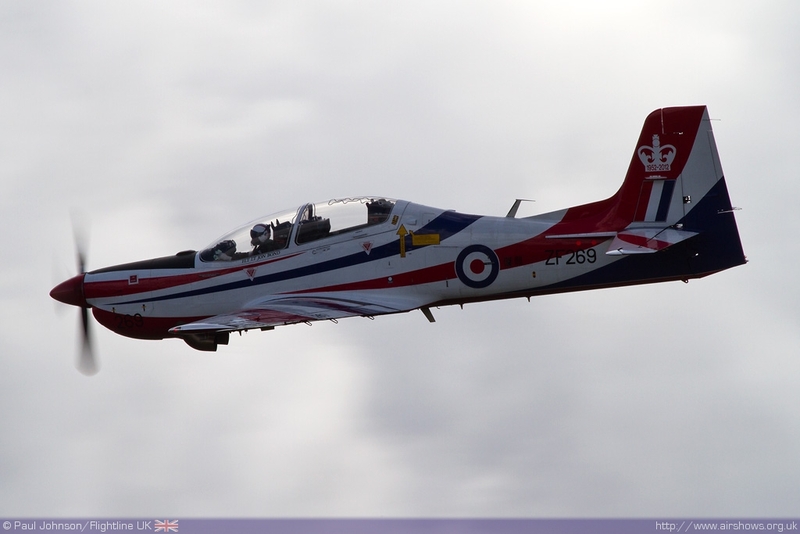 The Grob Tutor T1 and King Air B200 are both types based very close to Waddington at RAFC Cranwell whereas the both the Tucano and Hawk teams had slightly further to travel from Linton-on-Ouse and Valley respectively. 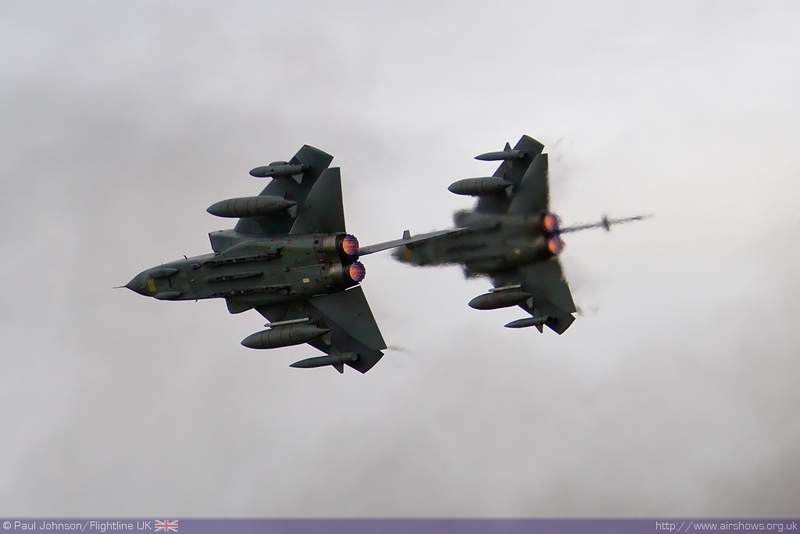 Front line RAF aviation was represented in the flying display by both the Typhoon FGR4 piloted by Sqn Ldr Scott Loughran from 6(F) Squadron at RAF Leuchars and the Tornado GR4 Role Demonstration Team from XV[R] Squadron at RAF Lossiemouth. 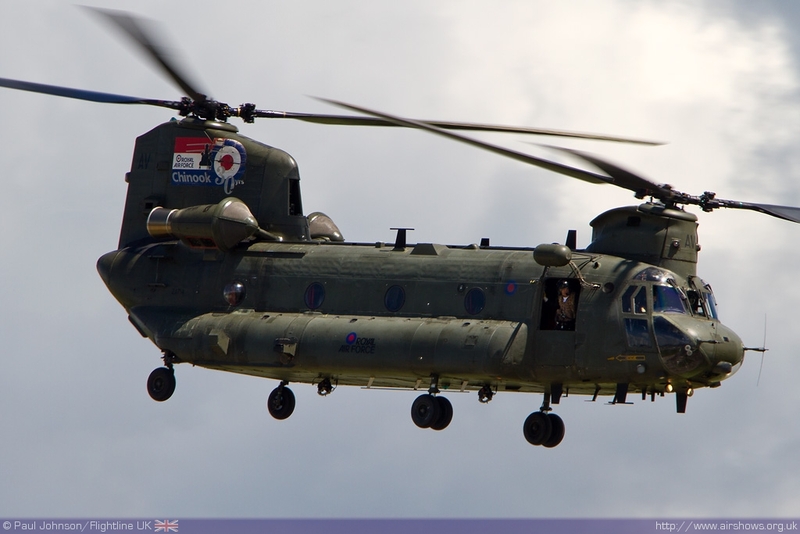 It was also good to the Chinook HC2 make a return to flying displays with a typical dramatic display of the type’s agility and power. 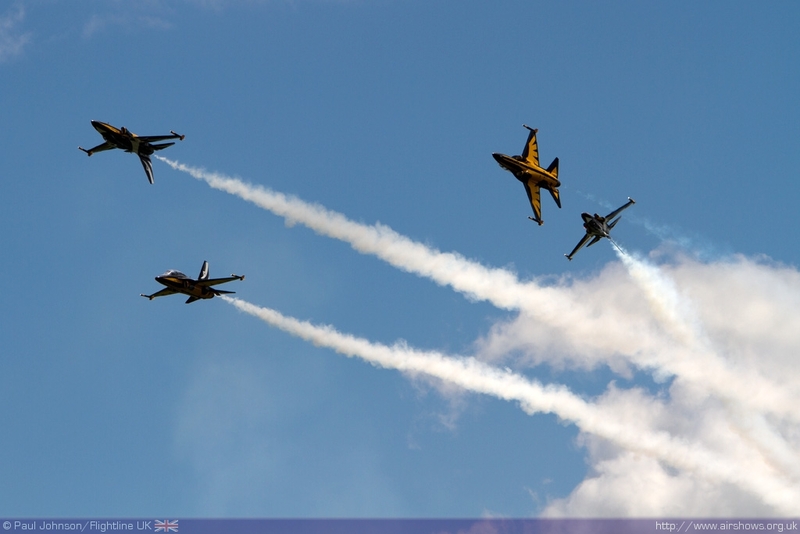 Both of the UK’s other armed services were represented in the flying display. 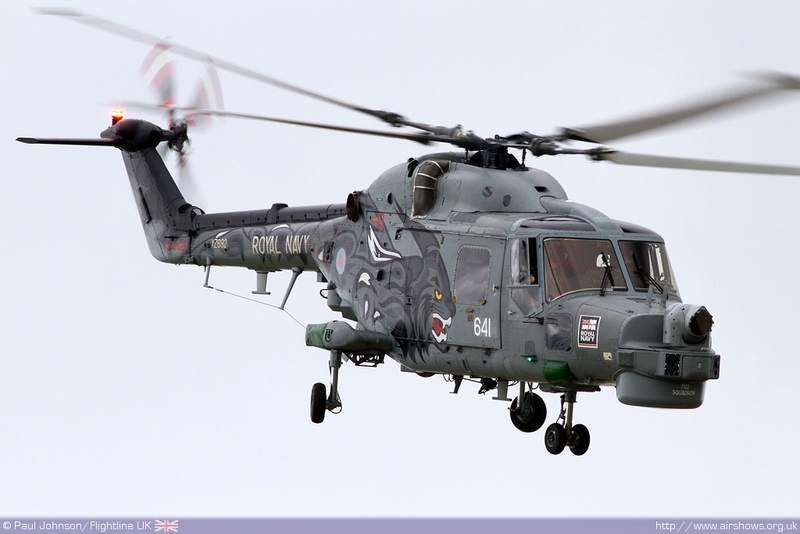 The Royal Navy sent the Black Cats Helicopter Display Team with its pair of Westland Lynx HMA8 from 702NAS based at RNAS Yeovilton. 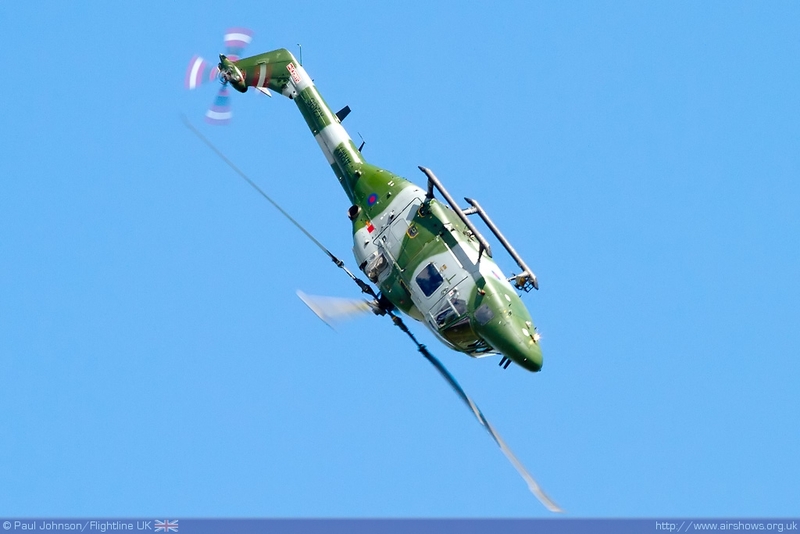 The Army Air Corps added to the collection of Lynx with the Westland Lynx AH7 which is always an impressive airshow performer being capable of some impressive aerobatics! 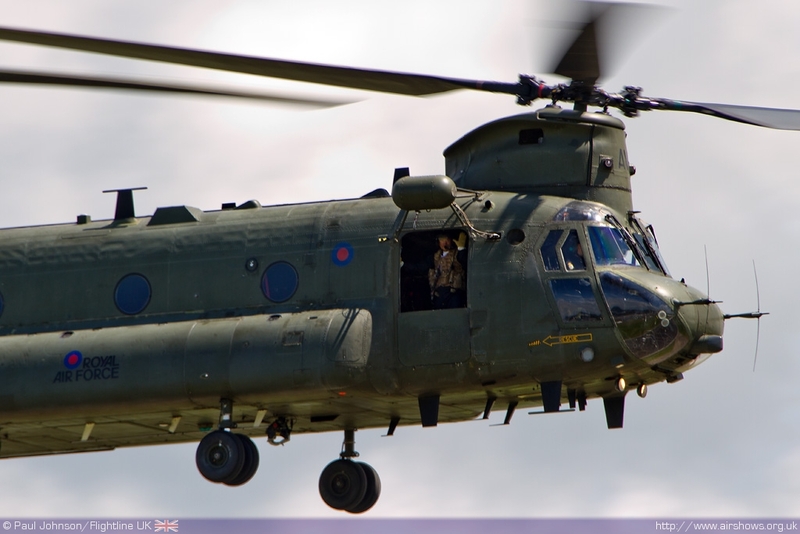 The sheer scale of the military involvement in the Waddington airshow this year did mean there was only one civilian display in the flying display, though one that retains very strong links to the RAF. 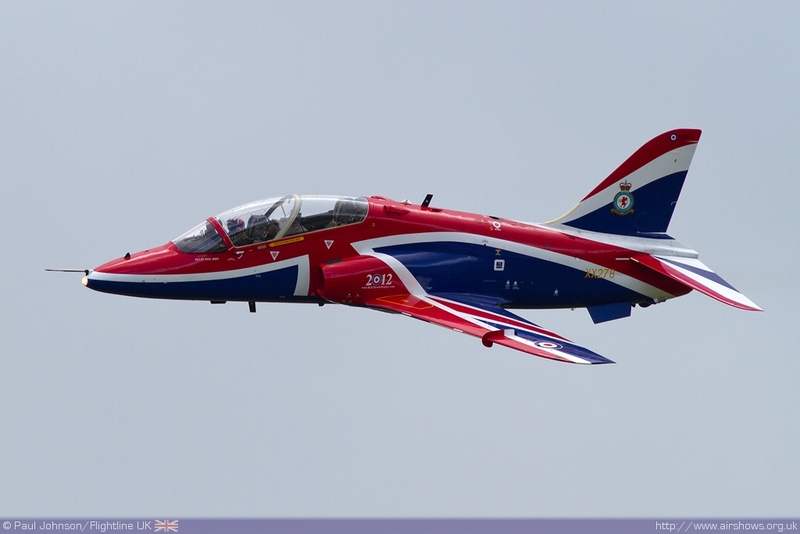 The members of the Blades Aerobatic Team are all former members of the RAF Red Arrows and this year are led by Mark Cutmore. 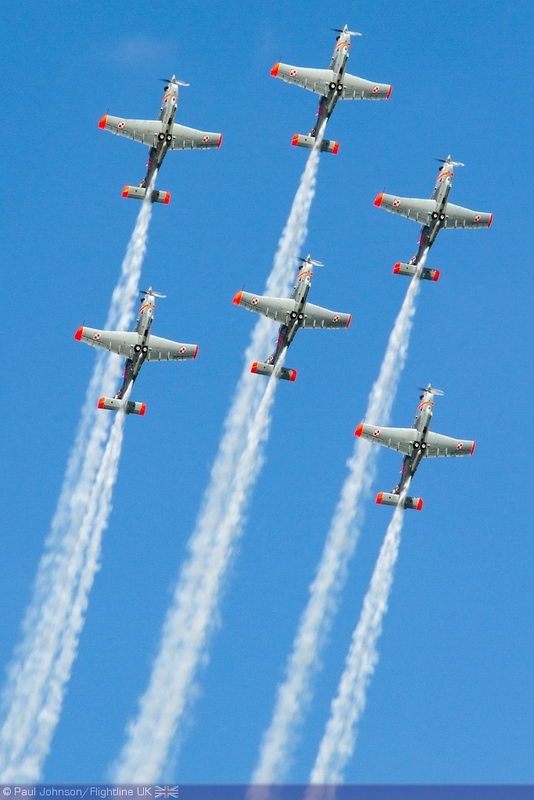 Their precision formation and solo aerobatics are always stunning the team are a regular highlight of the Waddington flying display. 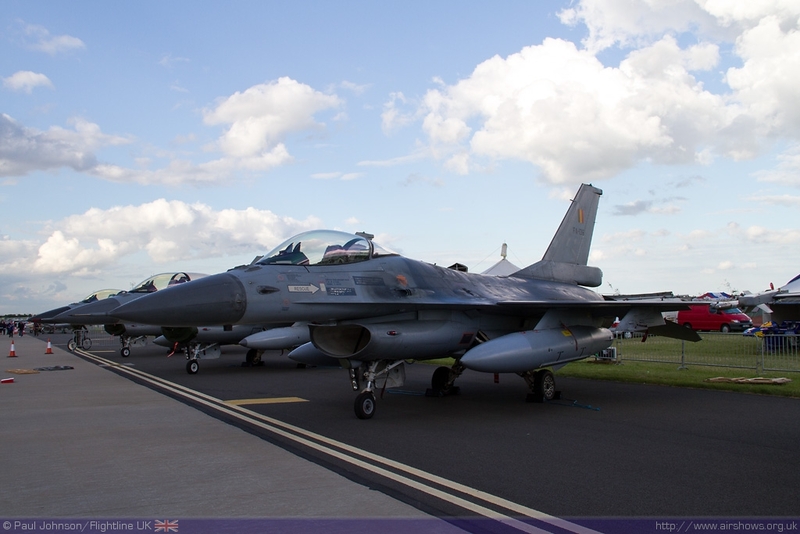 However it was Waddington’s international participants and their sheer number that most impressive this year. 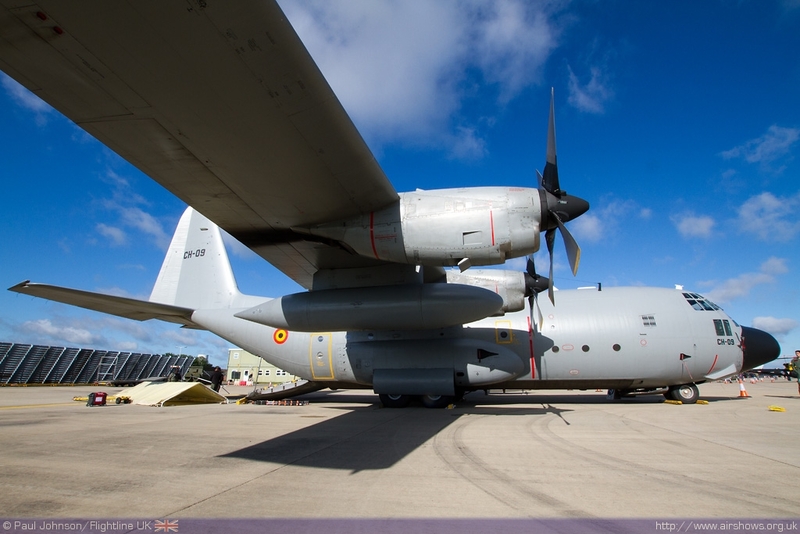 There were several highlights in the static display including Algerian and Belgian C-130H Hercules, French Air Force Grob G120, a German F-4F Phantom II, F-16s from Belgium and Denmark, a Norwegian Dassault Falcon 20ECM, Polish and Czech CN235s, a Czech JAS-39 Gripen wearing Tiger markings. 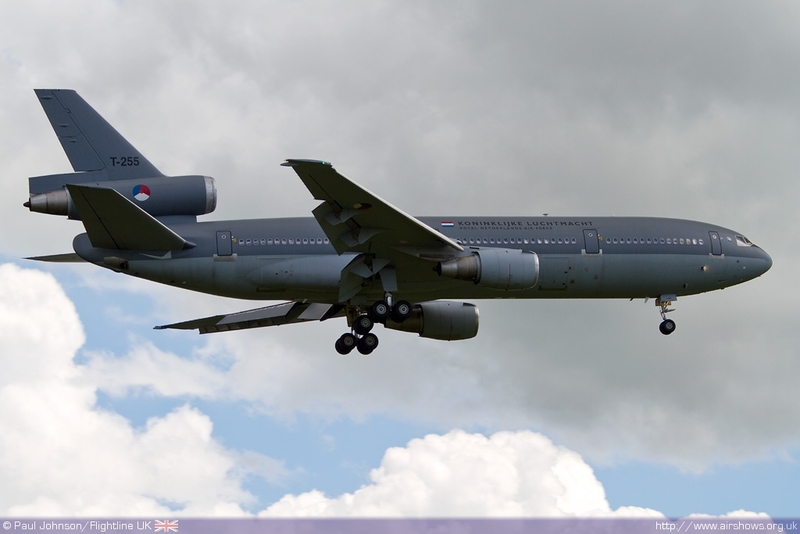 They should have been joined by a Royal Netherlands Air Force McDonnell Douglas DC-10 but this became a flying display participant at the last minute having been delayed at its Eindhoven base. 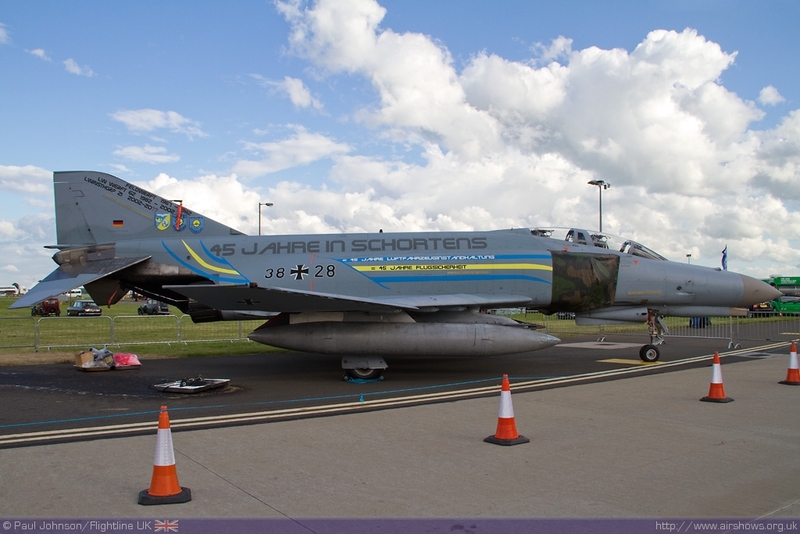 It appeared during Saturday’s flying display making a low overshoot following a flypast over The Hague. 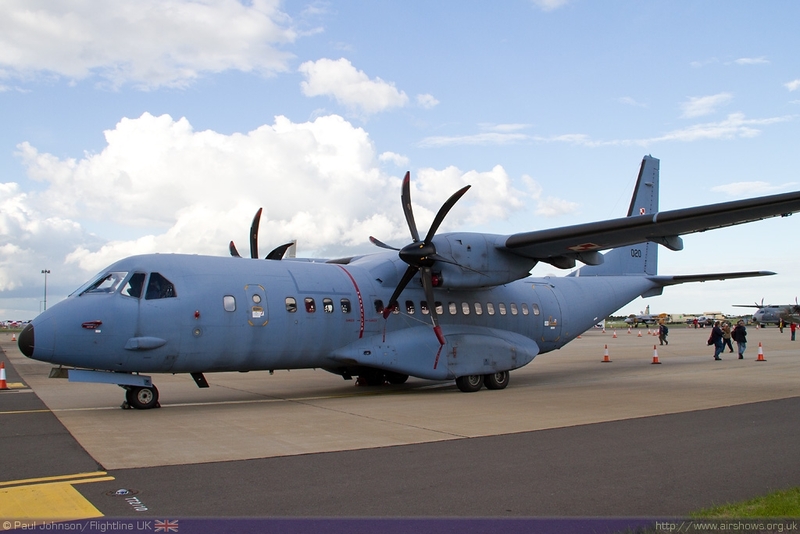 For every Waddington Airshow, the team always try and attract representatives of Airborne Early Warning aircraft from other Air Forces. 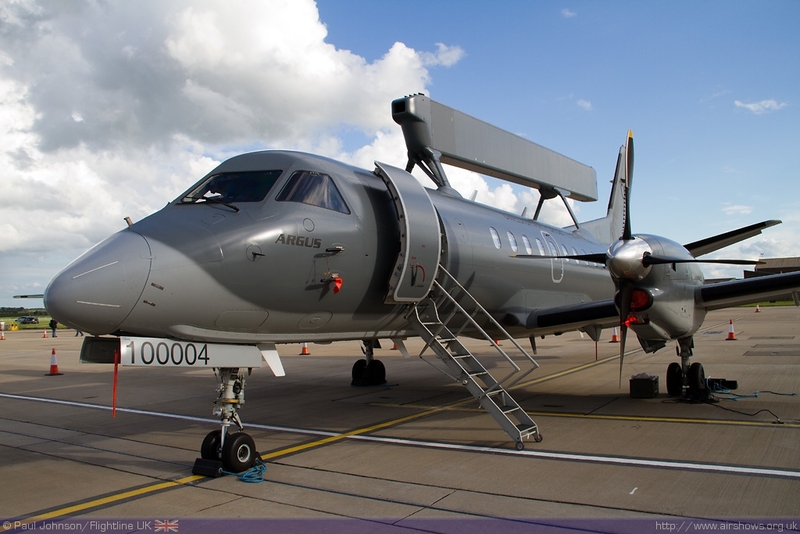 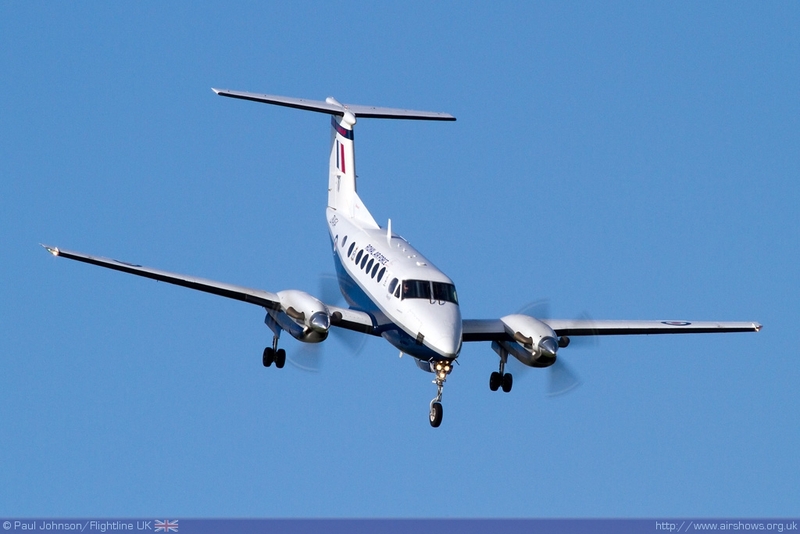 The Swedish Air Force sent a SAAB 340AEW&C Argus (often referred to as the ‘Erieye’ after the name of its radar equipment) for a rare public appearance. 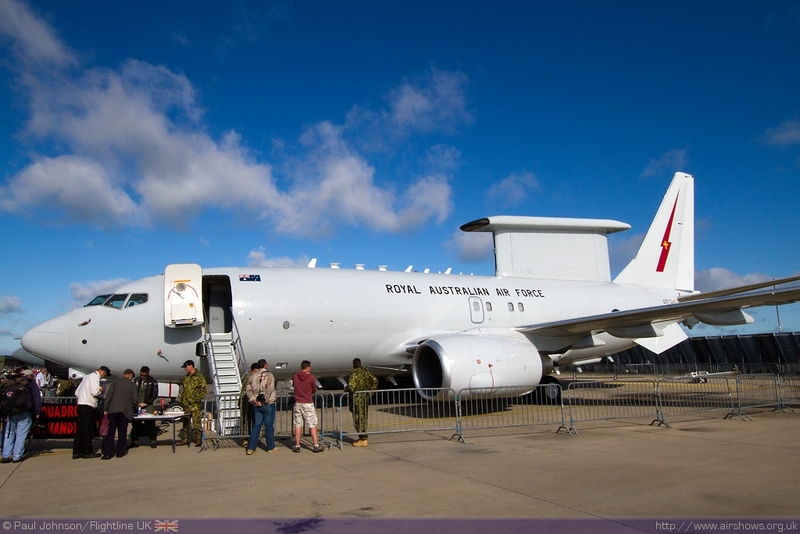 However perhaps the star of the ISTAR line-up was a Boeing 737AEW&C Wedgetail from No. 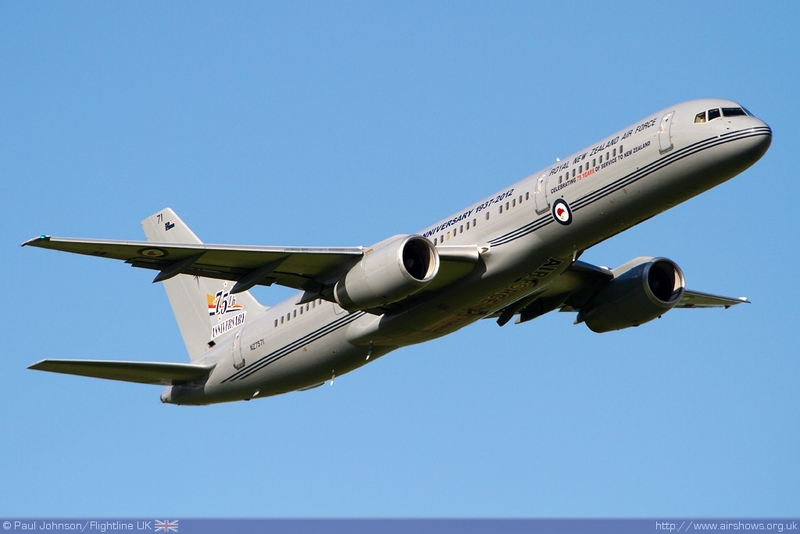 2 Squadron, Royal Austrailian Air Force. 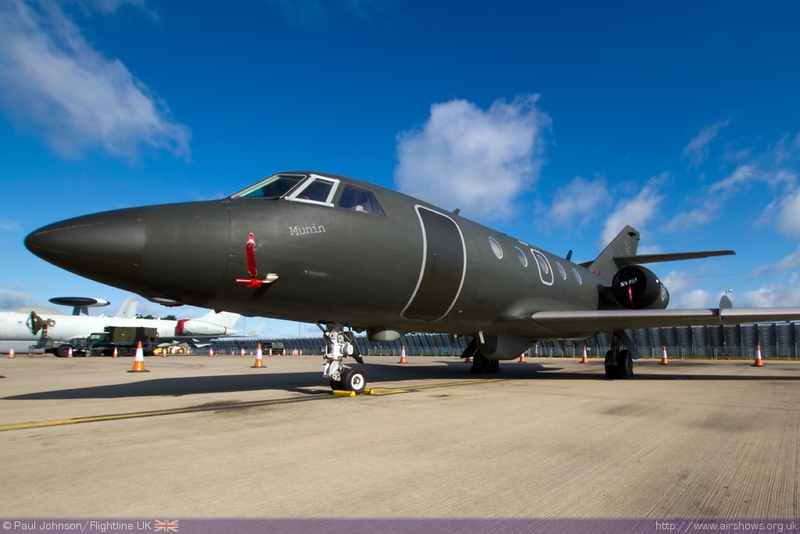 The Wedgetail was on its homeward journey following exercises in Alaska and was making a welcome stopover at Waddington in time for the airshow. 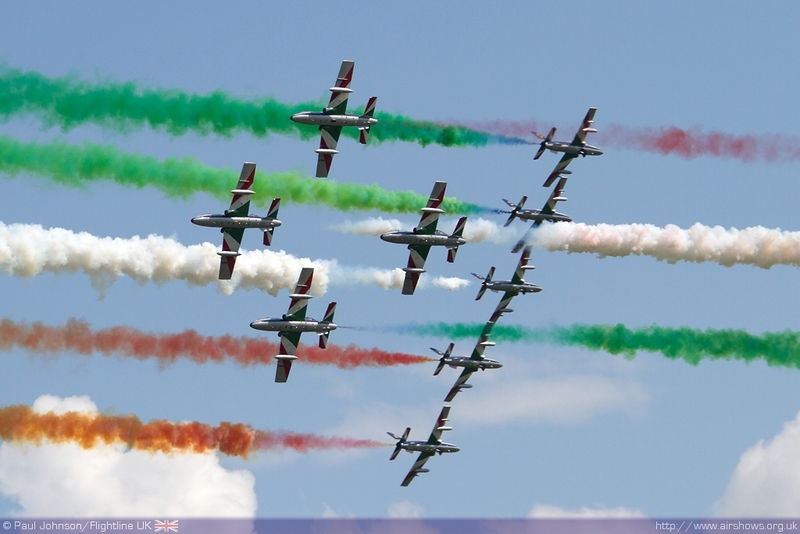 The array of international participants in the flying display was truly impressive with displays from around the world. 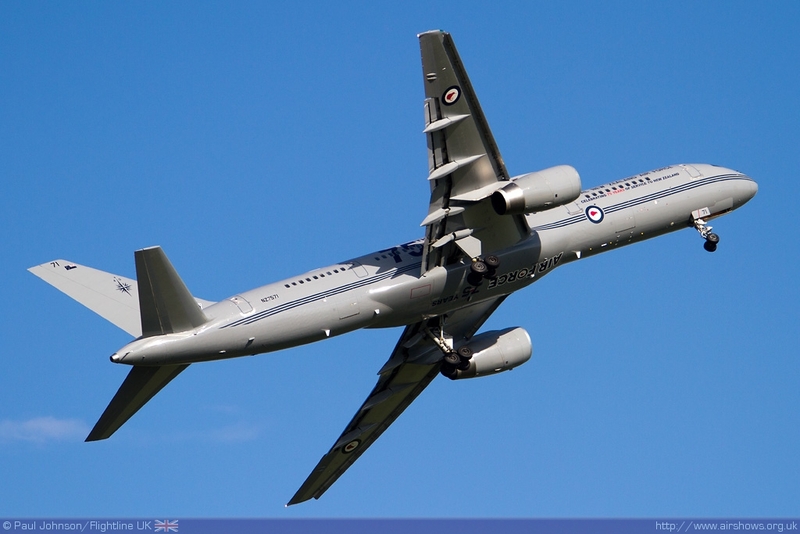 The furthest travelled was the Boeing 757-200 from the Royal New Zealand Air Force. 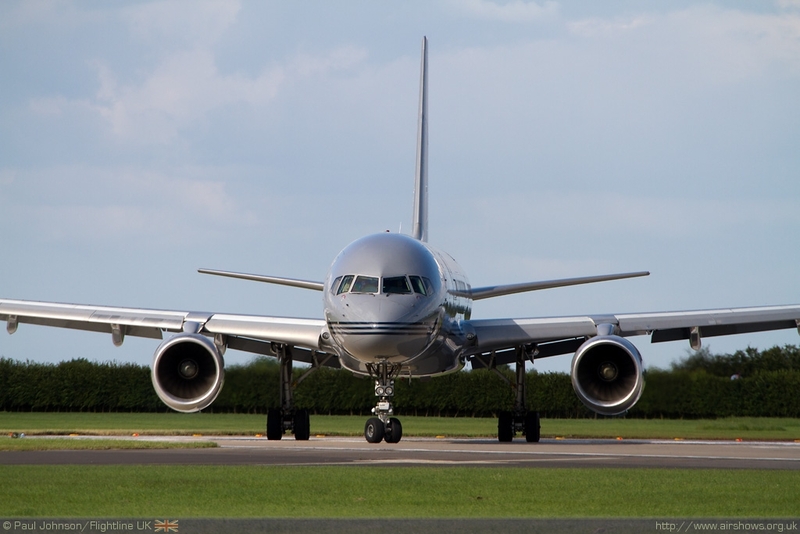 The 757 was in the UK having brought over Bomber Command veterans for the unveiling of the new Bomber Command Memorial in London as well as other commemorative events around the UK. 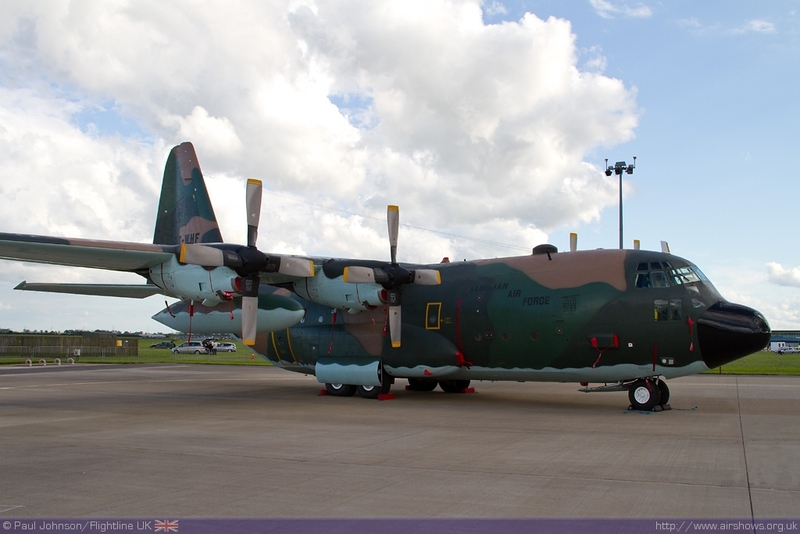 As always it put on an impressive display of agility and was wearing the special markings celebrating the 75th Anniversary of the RNZAF. 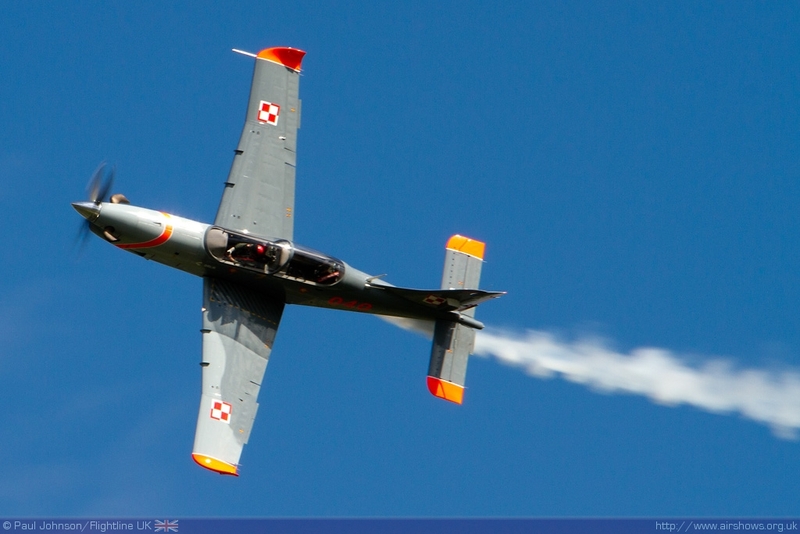 It was great to see a diverse collection of solo fast jet displays too. 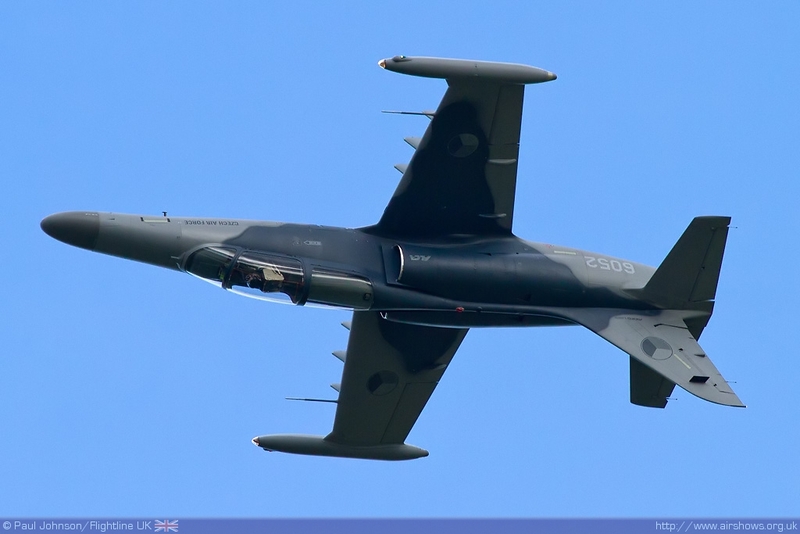 The Austrian Air Force SAAB J105OE always puts on a surprisingly powerful and noisy display considering its age and appearance. 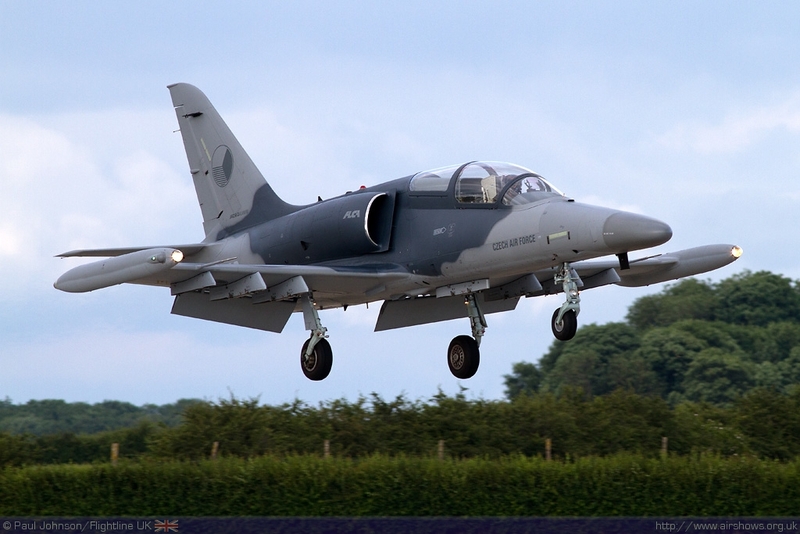 Another light jet making a lot of noise for itself was the Czech Air Force L-159A ALCA. 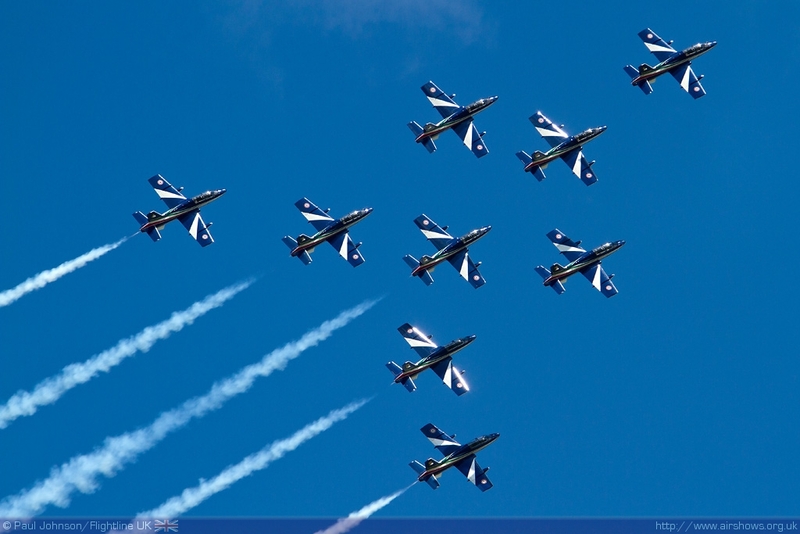 The L-159A puts on a very impressive display but has had a somewhat troubled existence having not won any exports despite high hopes for the type and many of the examples of the Czech Air Force order remain in storage for purely economic reasons. 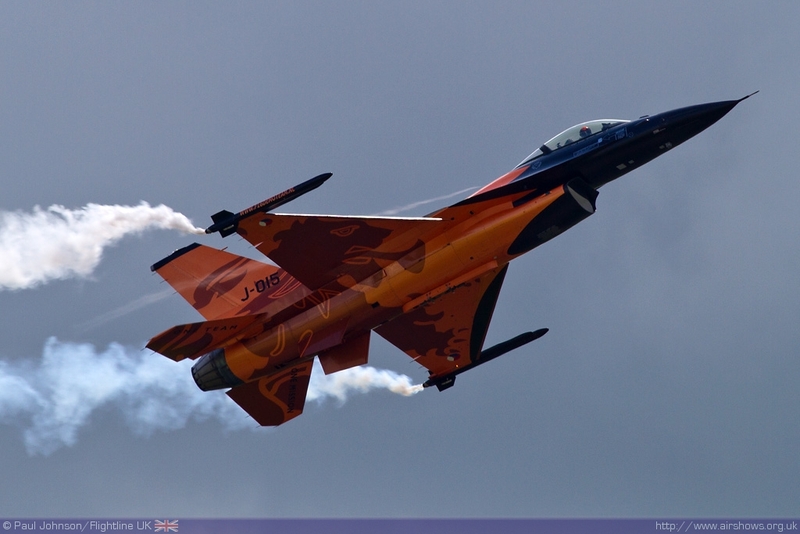 Waddington welcomed back the Royal Netherlands Air Force F-16AM Fighting Falcon demo team after many years absence. 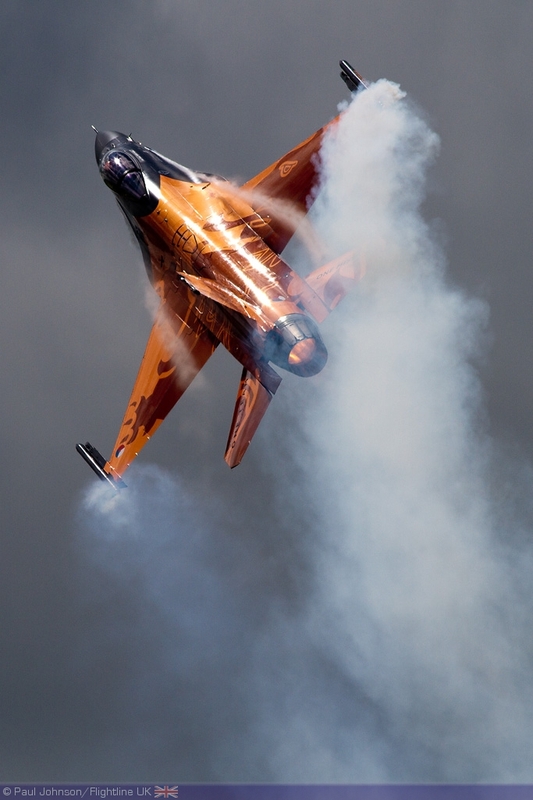 The Dutch F-16 is always a highlight of any airshow it attends and is perhaps one of the most distinctive display aircraft in Europe wearing its bright ‘Orange Lion’ livery. 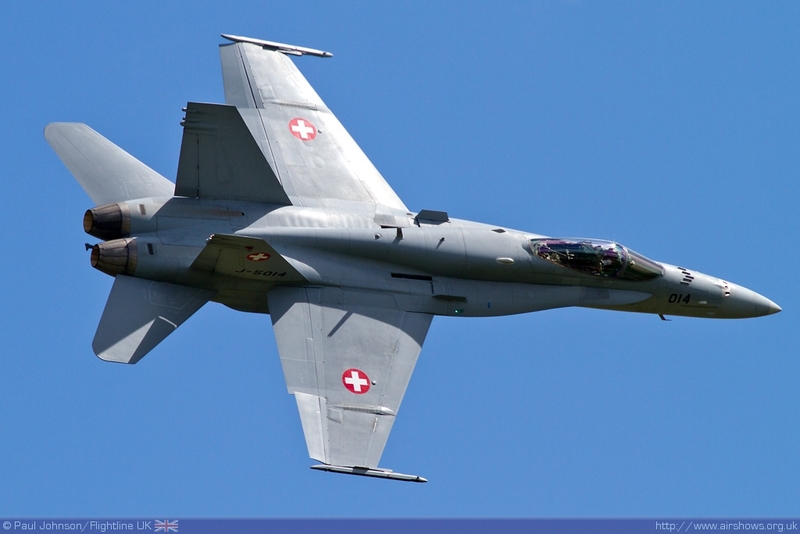 Joining the F-16 was the F/A-18C Hornet solo display from the Swiss Air Force. 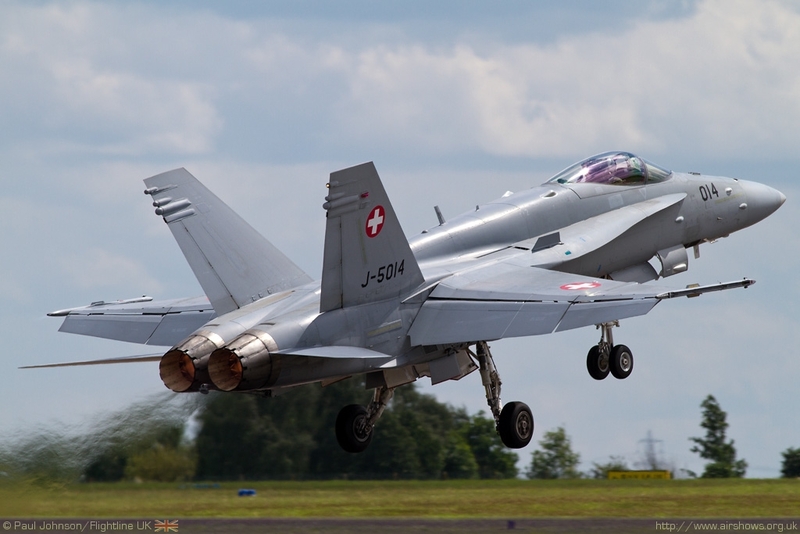 Swiss Hornets used to regular visitors to Waddington to use the North Sea ACMI range so it was great to see a pair of the big fighters back at Waddington. 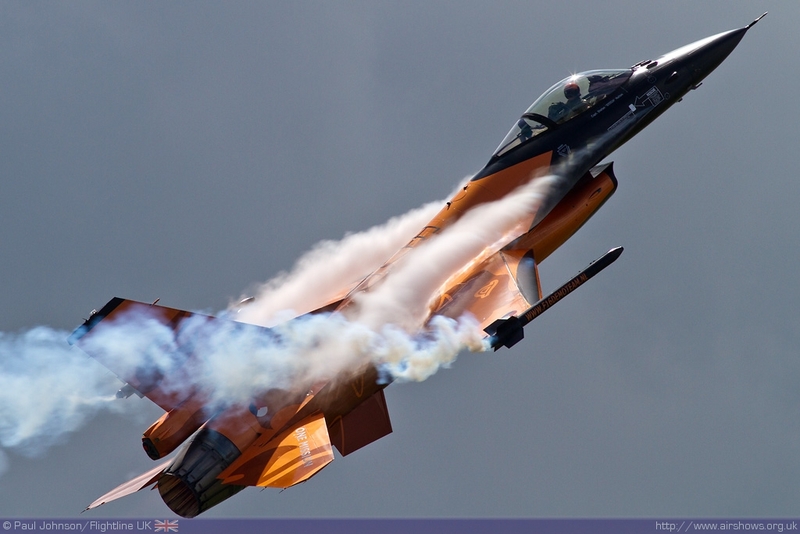 The Hornet is an incredible performer able to flying very square turns pulling plenty of vapour out of the air! 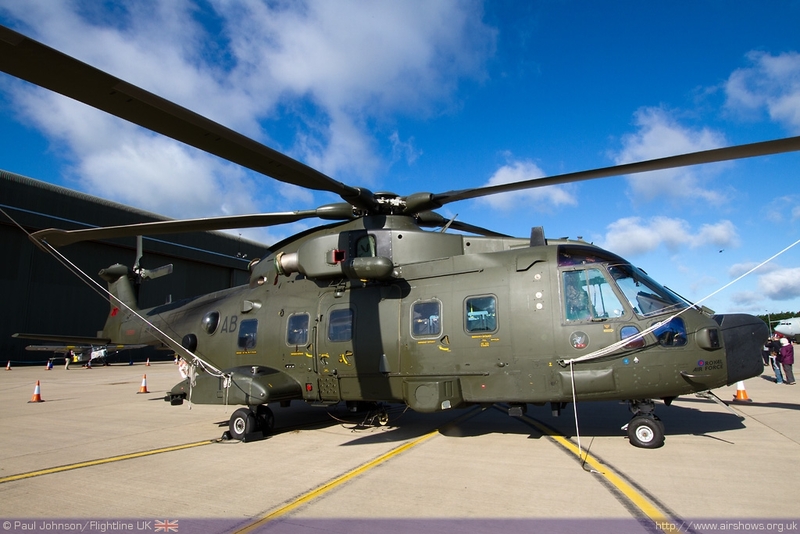 The Swiss Air Force also sent its ‘Super Puma Display Team’ to Waddington for a very rare UK appearance. 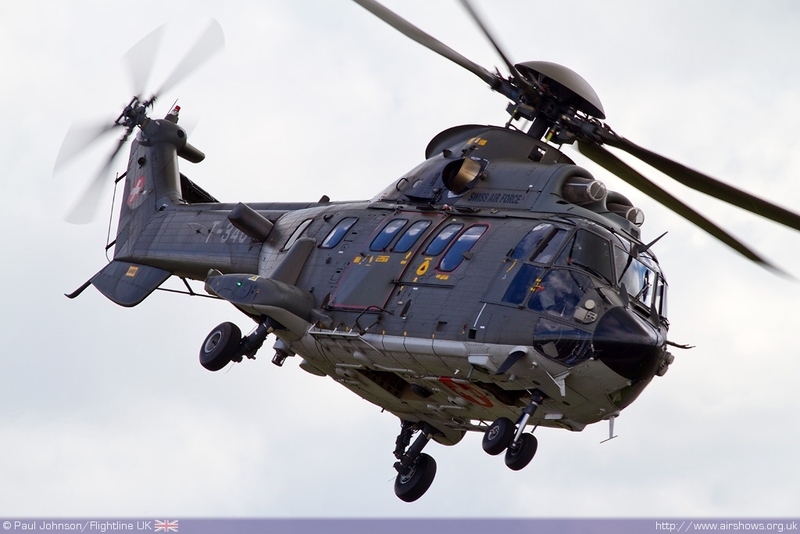 The team actually brought one of the new Eurocopter Cougar helicopters for display and put it through a remarkable sequence tight turns, pedal turns and downward spirals for such a large helicopter. 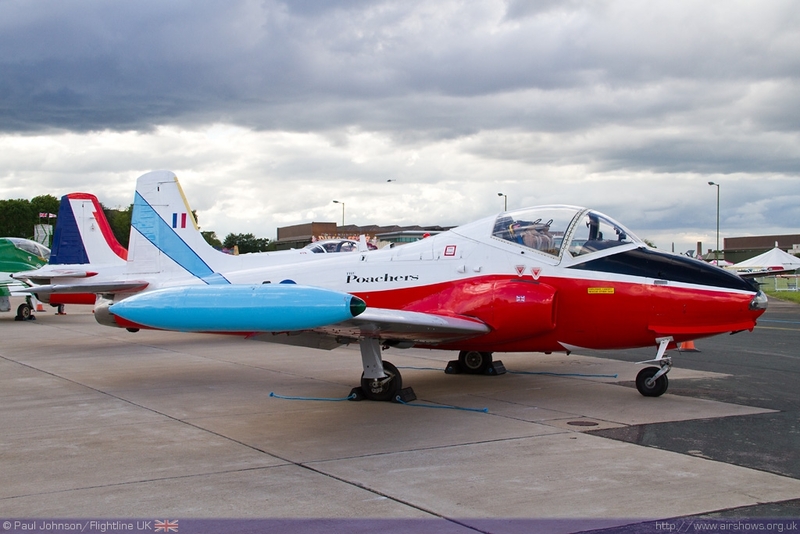 It has been a fair few years since Waddington attracted so many display teams to one show, and many of those that attended this year were new to the show. 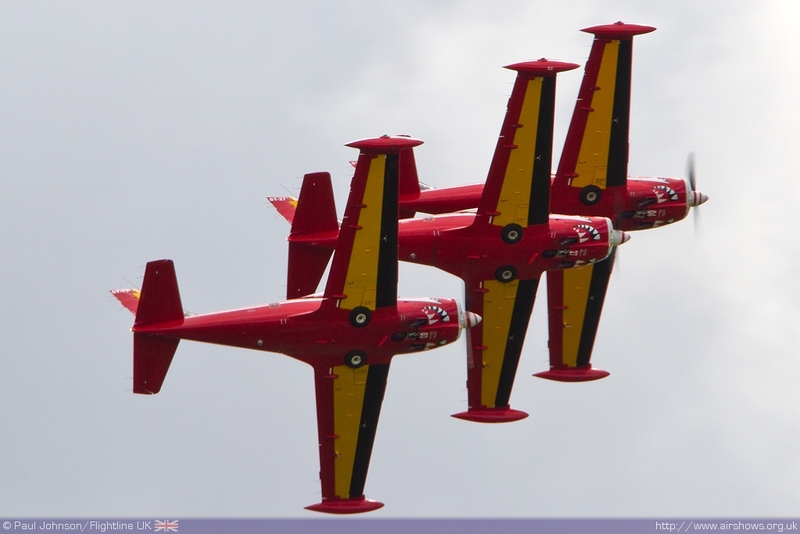 The Belgian Air Component’s sole contribution to the flying was the Red Devils team flying four SIAI-Marchetti SF260 basic trainers. 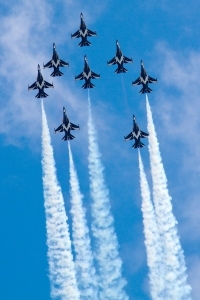 While the team lack the power and smoke of the larger jet teams, their display if full of pleasing formation and solo aerobatics set to music. 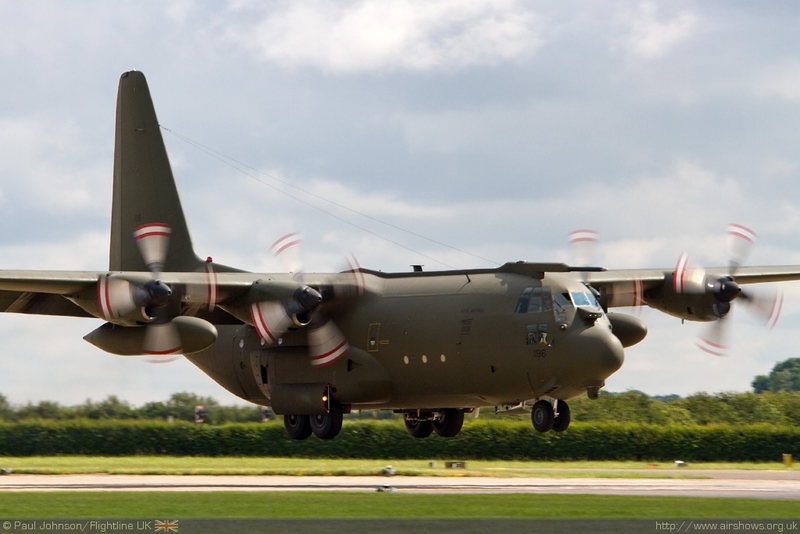 Moving up the power scale were the Polish Air Force’s Team Orliky flying six PZL Super Orlik turboprop trainers who have visited Waddington several times before. 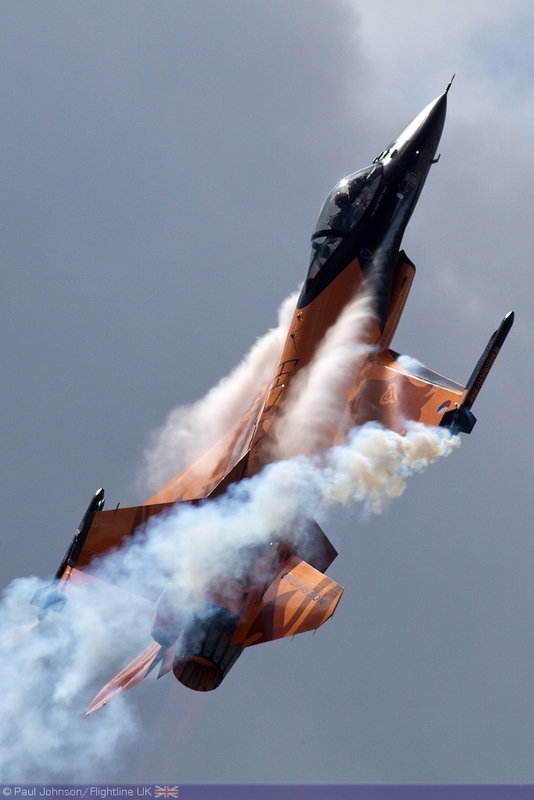 Fitted with smoke generations under the rear fuselage, the team have developed their display into a very refined and precise aerial ballet interspersed with dramatic solo passes. 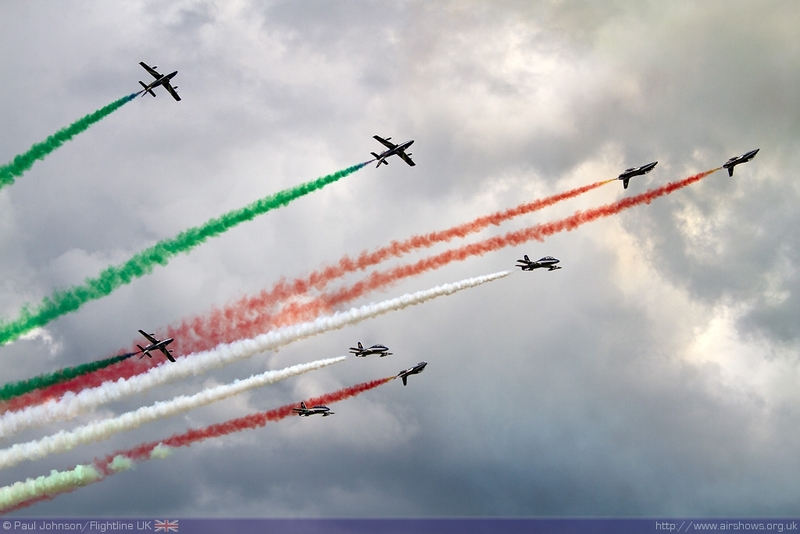 Another team making a return to Waddington after a long absence were the Italian Air Force’s Il Frecce Tricolori. 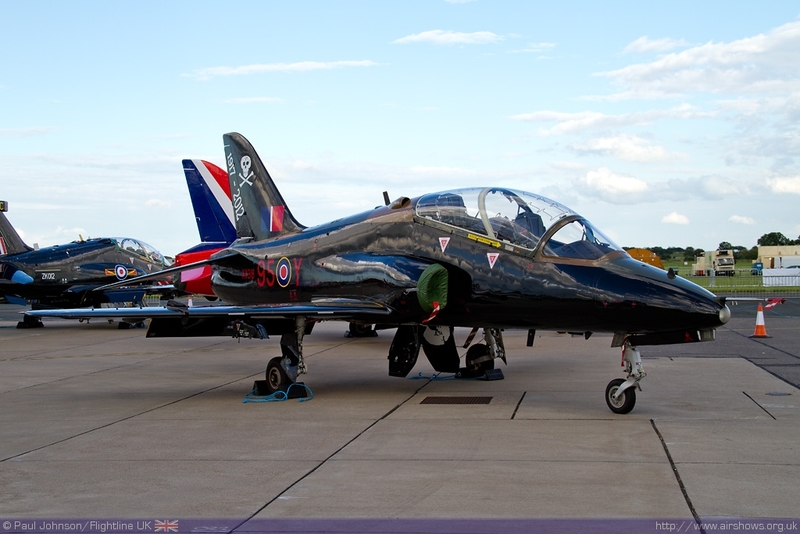 This was the Italian teams only UK visit this year and one of just very few displays outside of Italy. 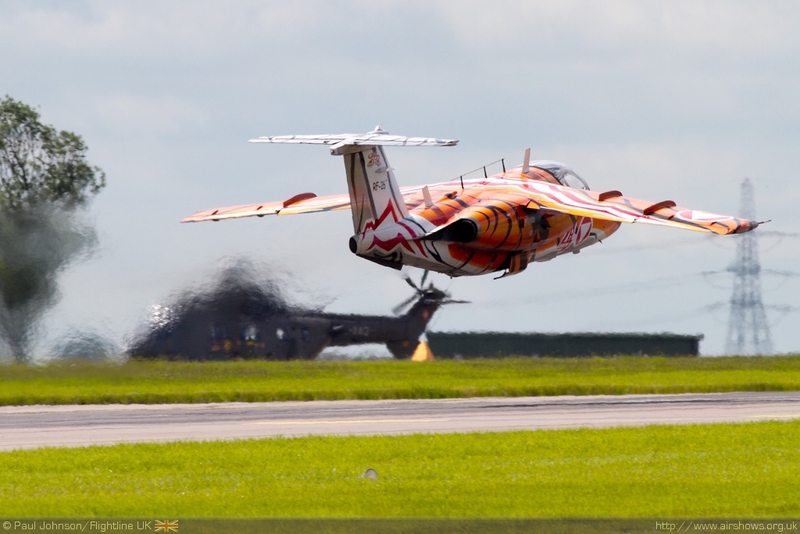 The ‘Frecce’ are always highlights of any show they attend and they did not disappoint at Waddington with two very different displays over the weekend due to the contrasting weather. 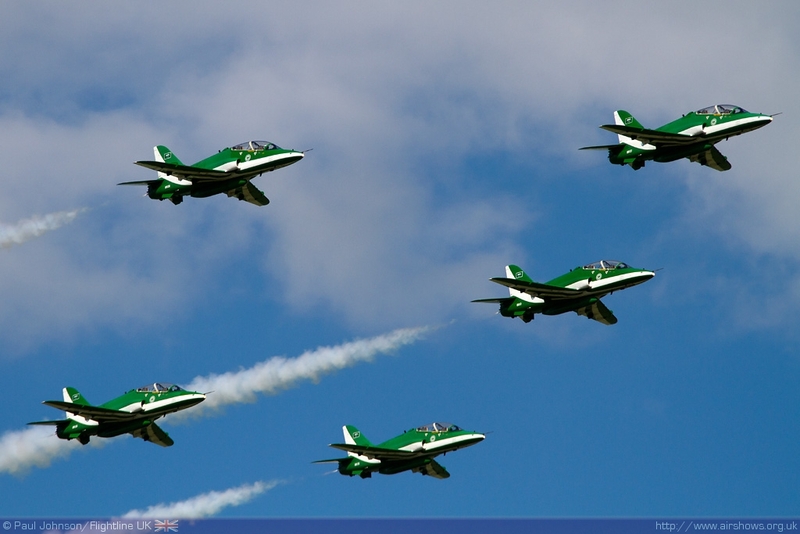 The Saudi Hawks were making their Waddington debut this year as part of a short tour of the UK’s big mid-summer military airshows which started at Yeovilton and will be completed at RIAT. 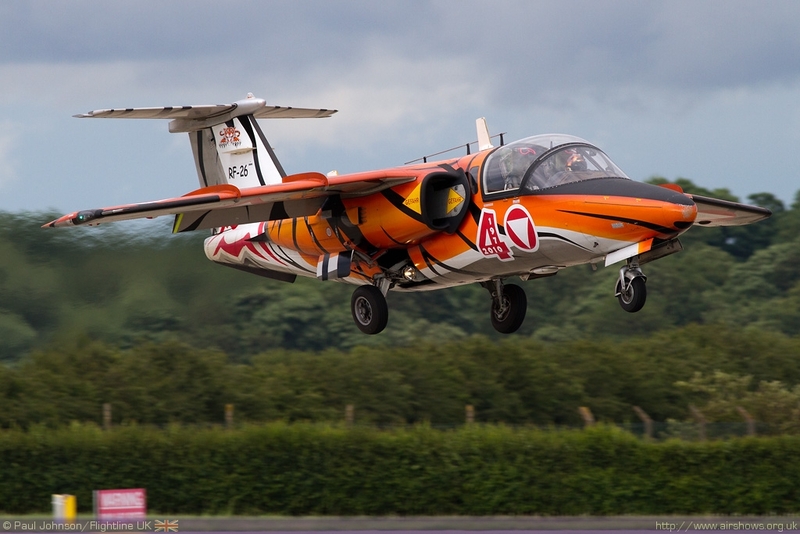 Sadly the team were down to just five aircraft at Waddington as one of the pilots was taken ill before the event. 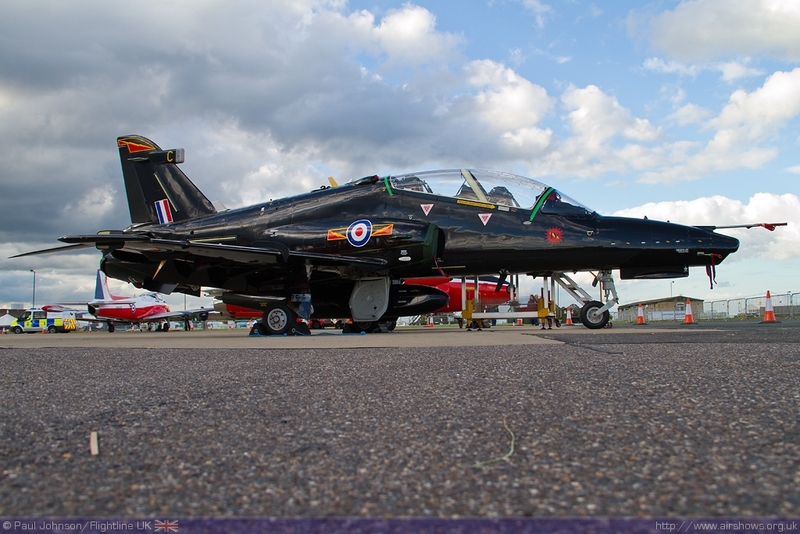 The team had to cope with some trying conditions over both days of the show and they did seem to suffer from the loss of an aircraft, particularly as it was the ‘solo’ Hawk that was missing! 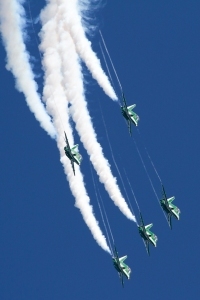 However it was a team from even further east than the Saudis that were the star of the show. 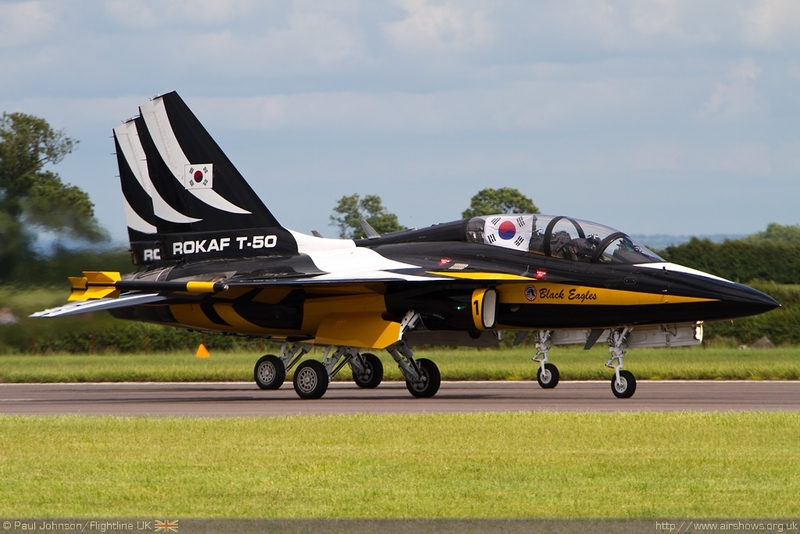 The Republic of Korea Air Force’s Black Eagles were making their first ever public appearance outside of Korea at Waddington as part of a short tour of the UK which includes the full team also appearing at the Royal International Air Tattoo plus a solo demonstration at the Farnborough International Airshow. 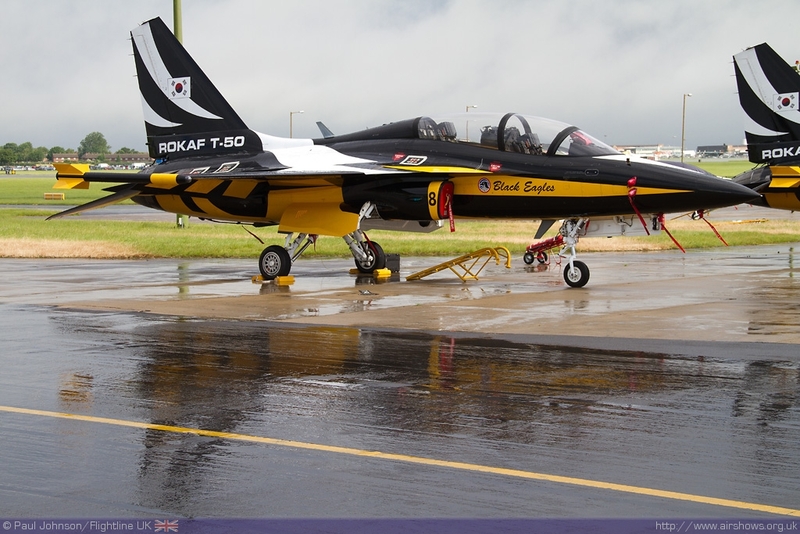 The team fly the indigenous KAI T-50B Golden Eagle advanced jet trainer. 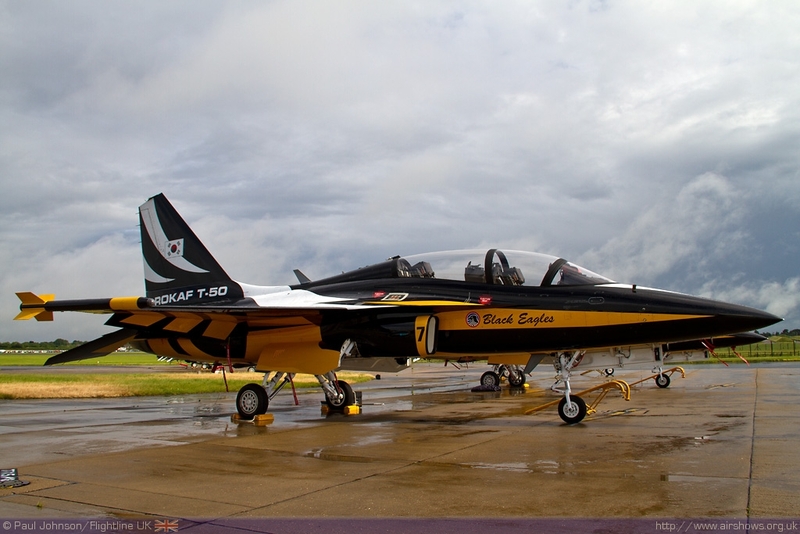 Unlike more traditional European jet trainers, the T-50B is much more like a jet fighter being much larger and more powerful with a reheated engine meaning it has great presence. 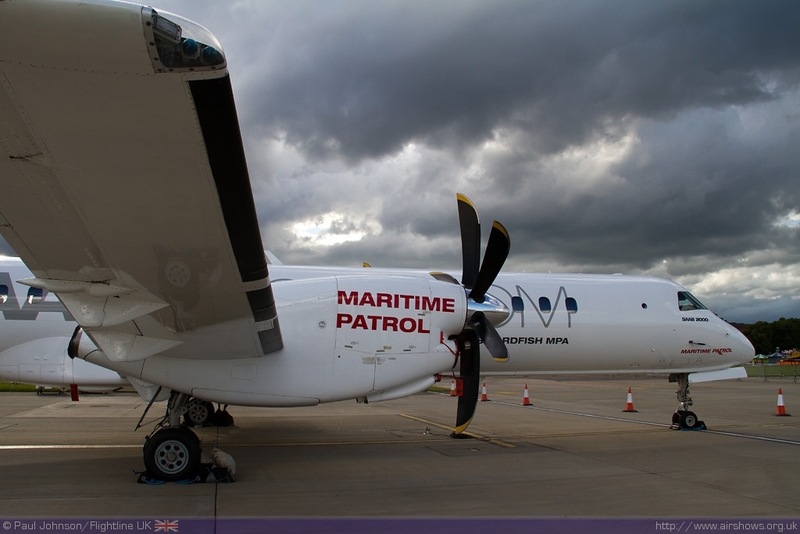 The pilots and support crew were clearly enjoying their adventure to the UK being more than happy to talk to the local and aviation press throughout the show weekend. 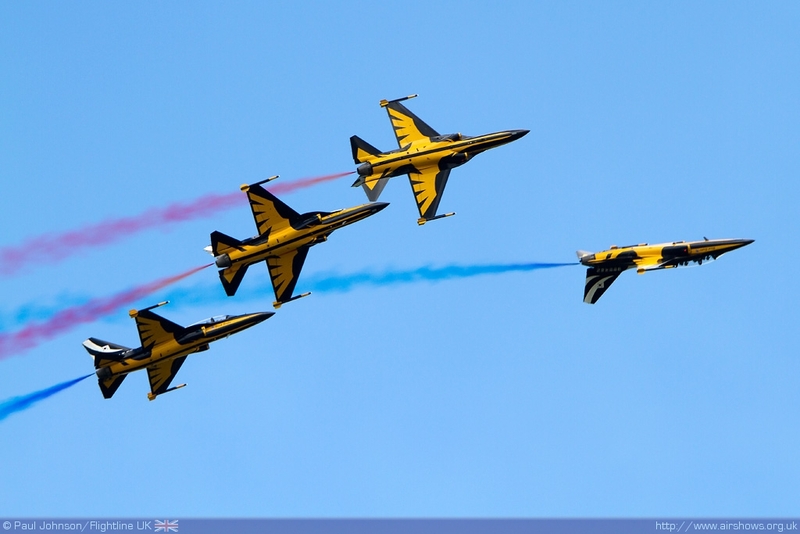 They also had their own attached cameramen and journalists from Korea to cover their western debut which is clearly big news back home. 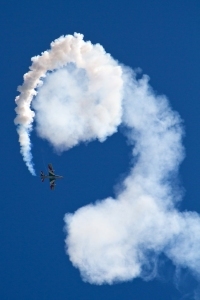 Their display clearly captured the imagination of the Waddington crowd with the airfield coming to a standstill with could reason. Their flying was hugely impressive with the eight T-50s flying some very precise formations and some scintillating opposing passes. 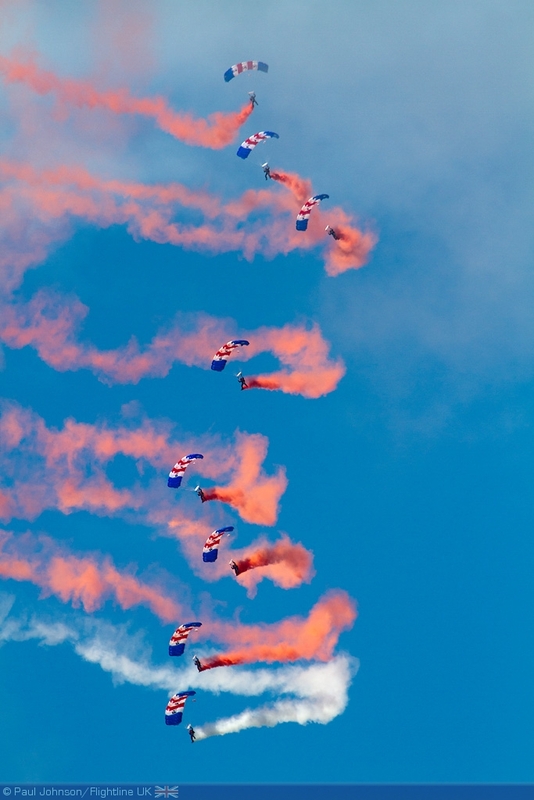 In many ways their display took some of the best elements of European and US displays and kept action in front of the crowd all of the time. 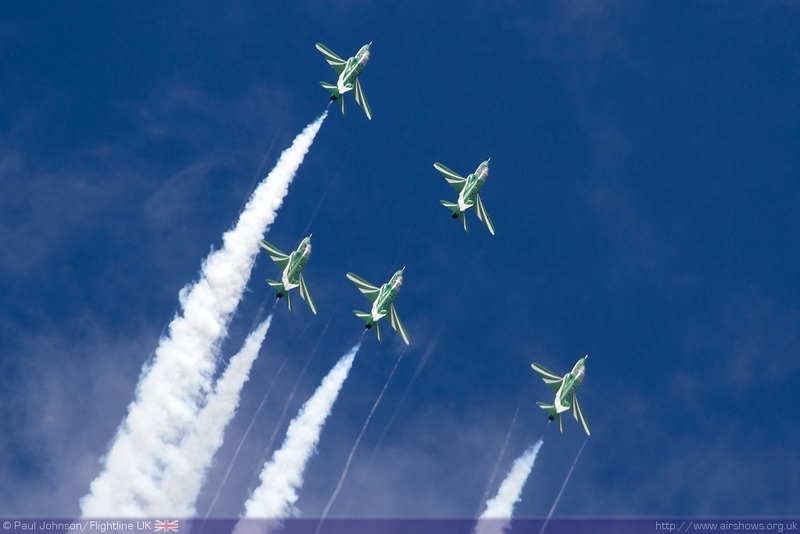 The power of the T-50 clearly helps with some amazing quick formation changes and re-joins throughout their display. 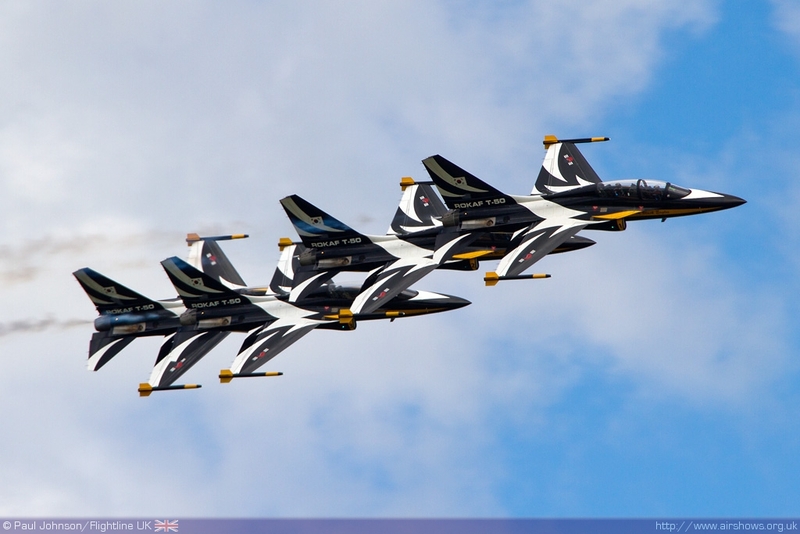 It was a remarkable western debut and deservedly won the Black Eagles the award for best overall flying display. 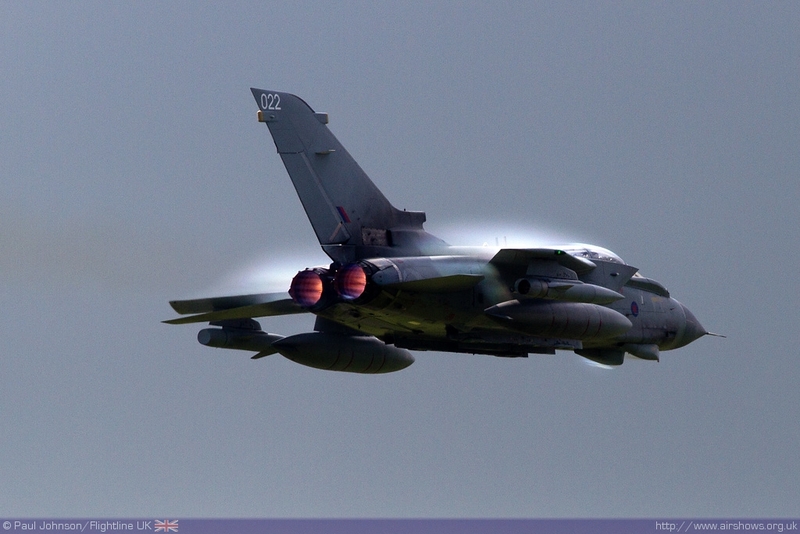 Waddington is always a good show, but 2012 was quite simply outstanding. 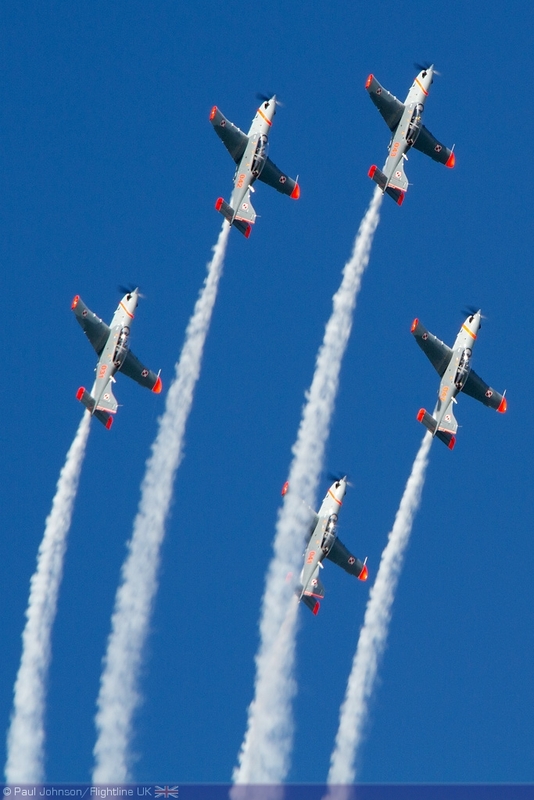 Despite defence cuts around the world the Waddington team which is perhaps most noticeable in the static park the very international flying display was superb flowing extremely well considering the complex nature of organising so many different types of display. 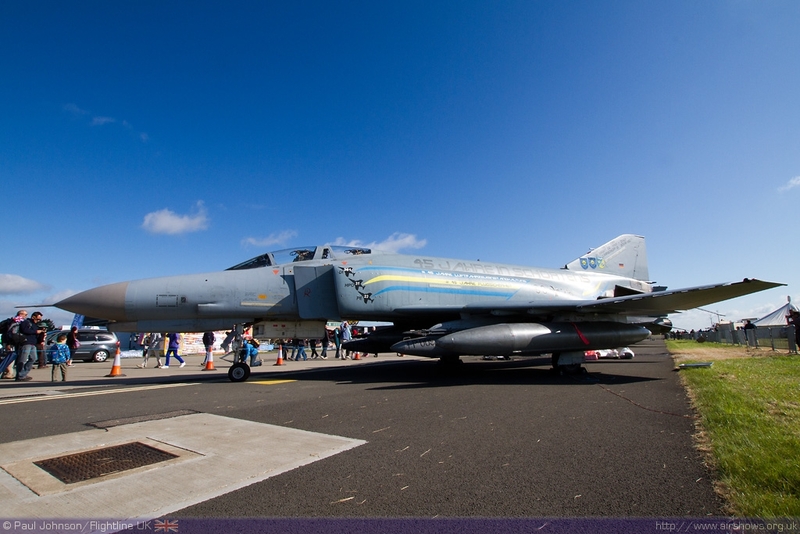 On the ground there was plenty to see too away from the aircraft with a great programme offered by ‘RAF on Air’ in Hangar 3 alongside all the usual entertainment. 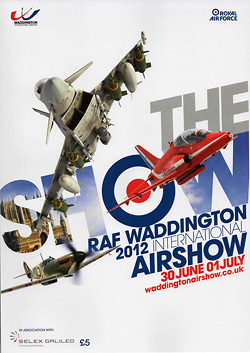 2012 was clearly a very year for Waddington and we look forward to the 2013 show.